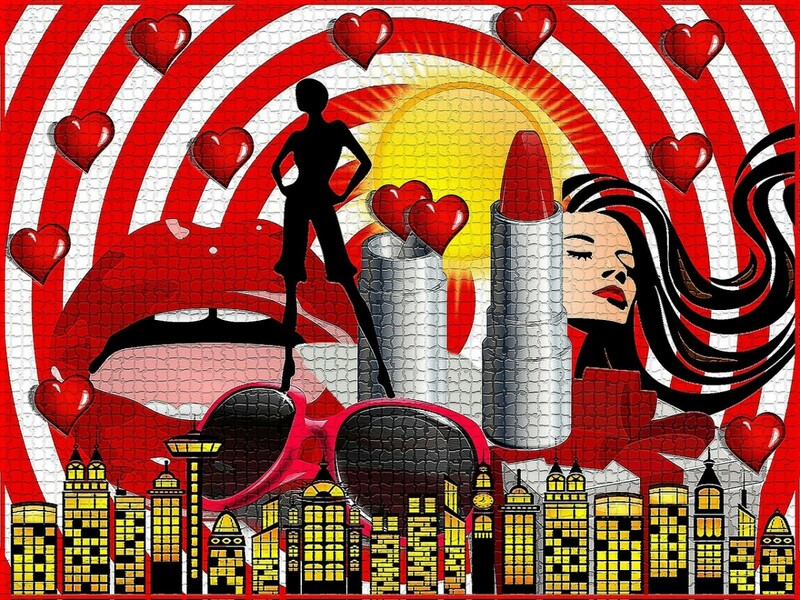 I am a writer, author, blogger, poet, and public speaker. I write on a variety of topics because I have very eclectic interests. I have published a book of essays based on my speeches "What Ifs, If Onlys, and So Whats." I have also had some of my poems, fiction, and creative non-fiction published in periodicals and anthologies. 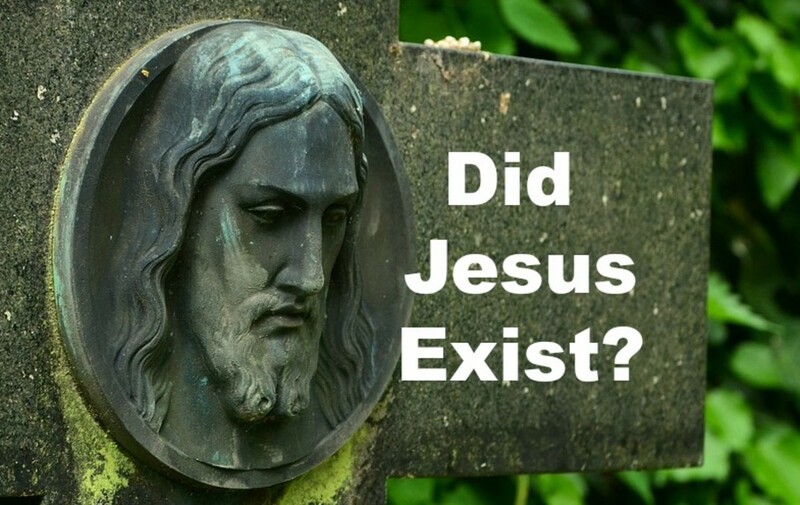 Did Jesus Exist or Is It All a Myth? 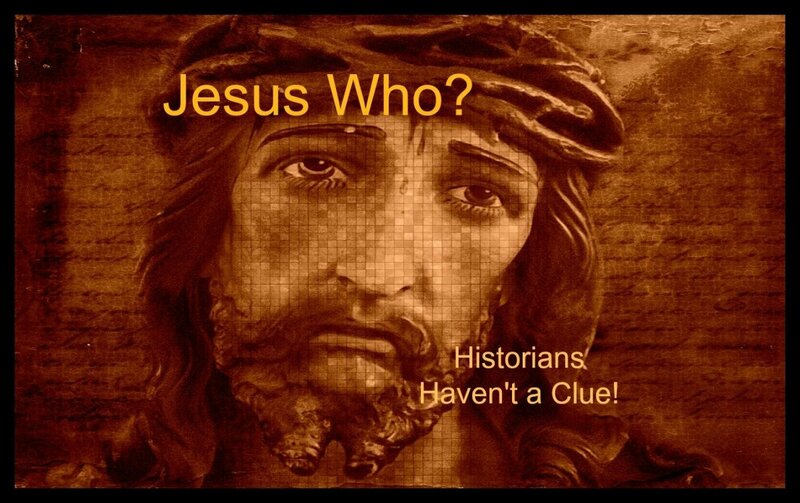 There is no evidence that Jesus actually existed as an historical person. Some Biblical scholars have concluded that Jesus is totally mythological—a melding of Jewish, Hellenistic and pagan religion. 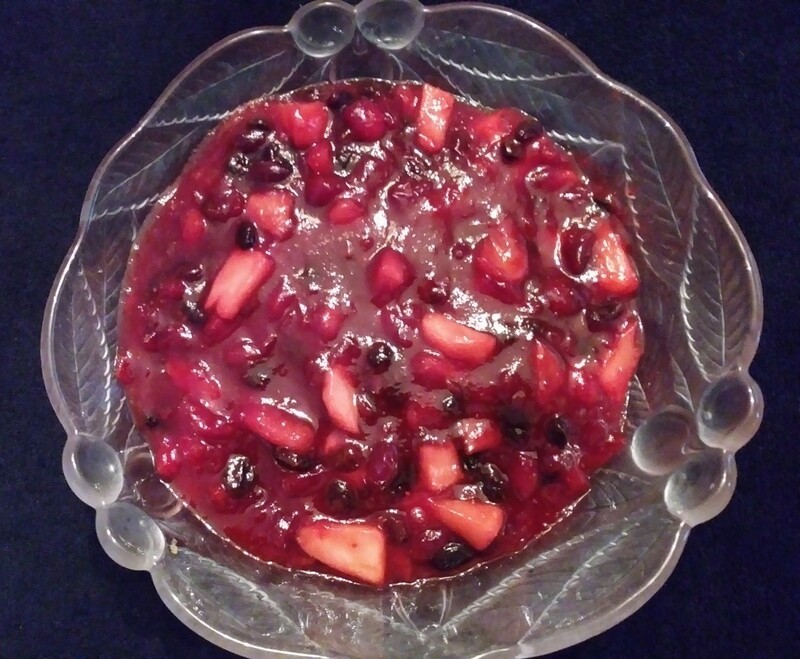 Do you want a recipe for a healthy cranberry sauce that even people who hate cranberry sauce will love? This recipe has been wowing my Thanksgiving guests for years. 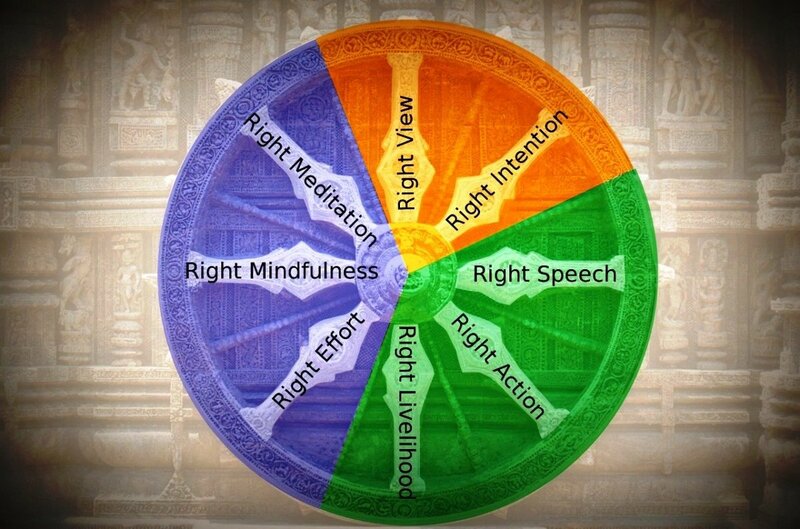 Buddha’s 'Eightfold Path” is still relevant today. 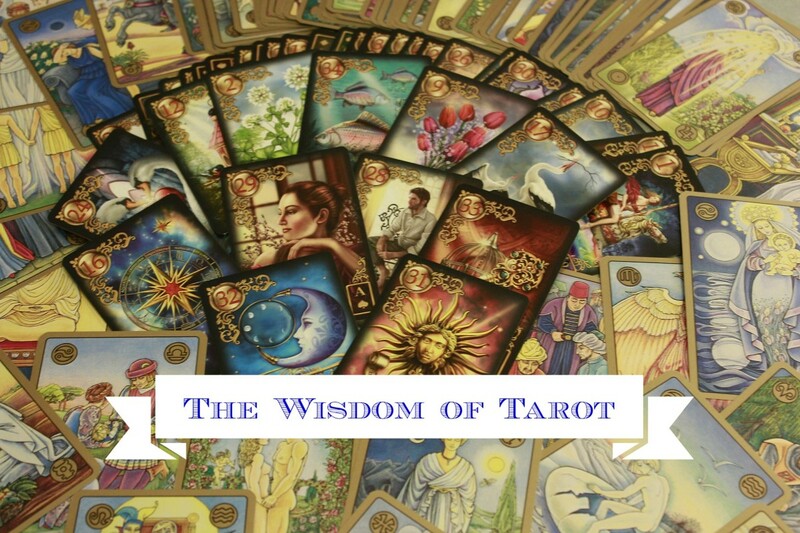 This ancient guide to living can bring you happiness, success, and personal fulfillment. Are we living in a post-truth world? 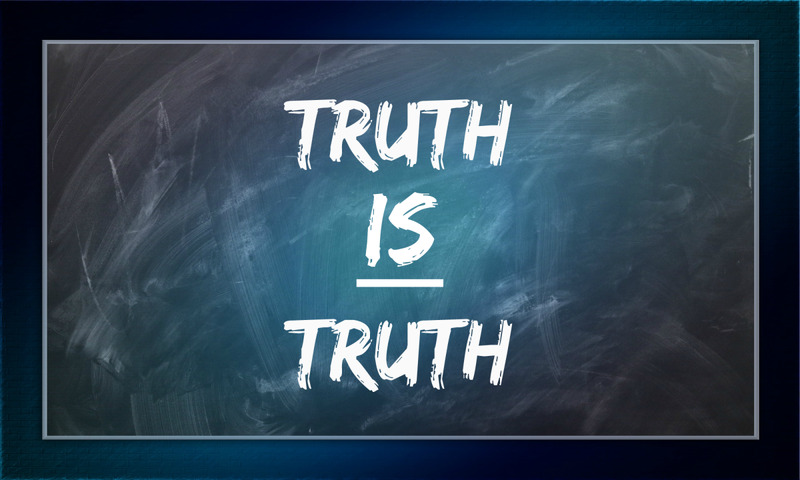 Has truthiness supplanted truth? Is the truth the truth? How can we know what is true? 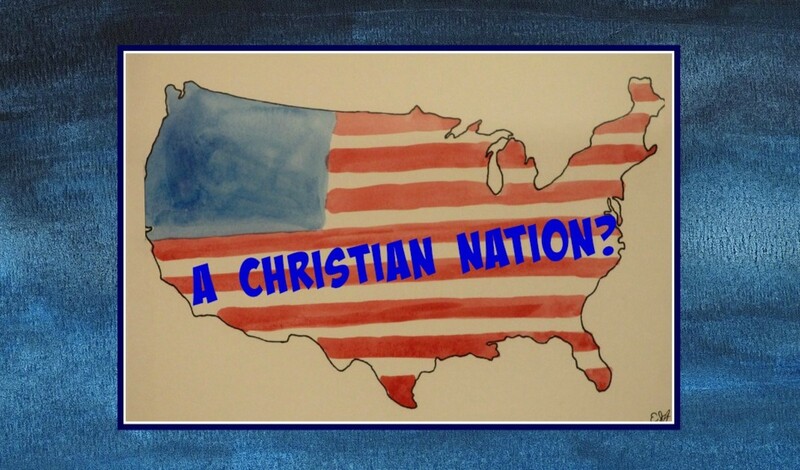 Has America become Fantasyland? 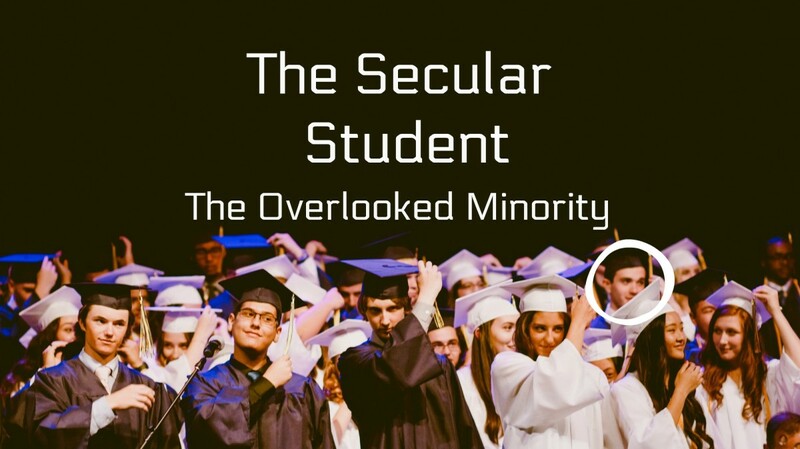 Minorities have been seeking equality in all areas of American life and life on college campuses is no exception. One group that is often overlooked is the non-religious. Why is this and how can discrimination, including discrimination against atheists, be combated on campus? 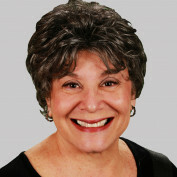 Bertha Vazquez is a middle school teacher with a passion for teaching evolution. 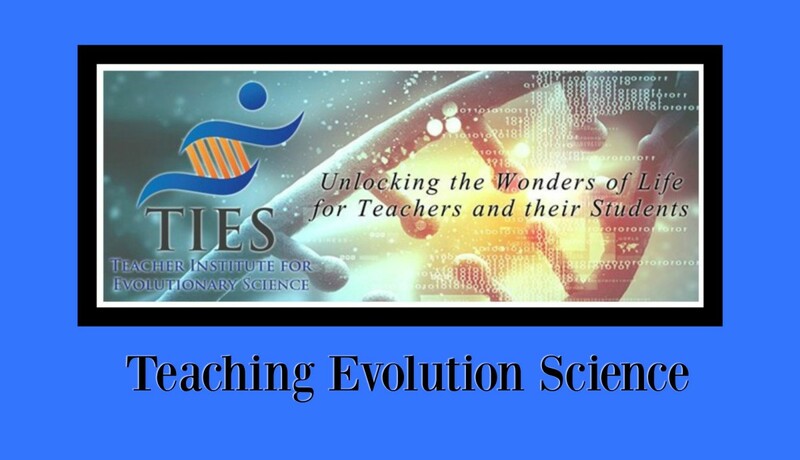 In 2015, she founded “The Institute for Evolutionary Science” with the support of the Richard Dawkins Foundation for Reason and Science to help middle school teachers master the subject and inspire their students. 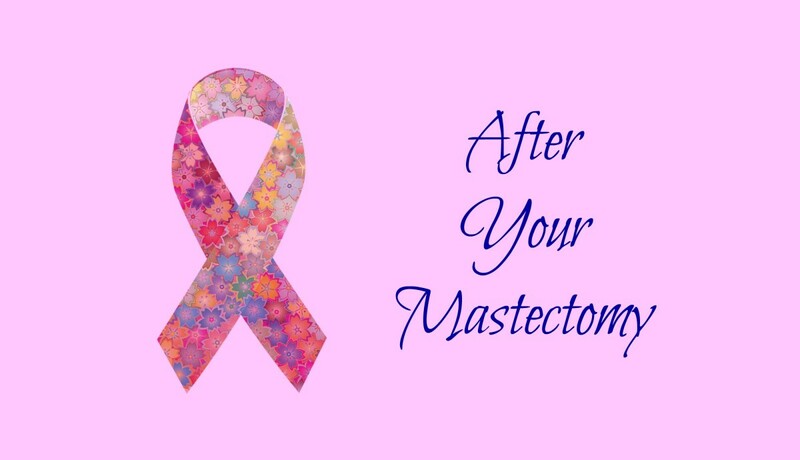 A mastectomy causes both physical and emotional pain, not just from the surgery but because of the lifestyle changes it requires. Knowing what to expect helps. 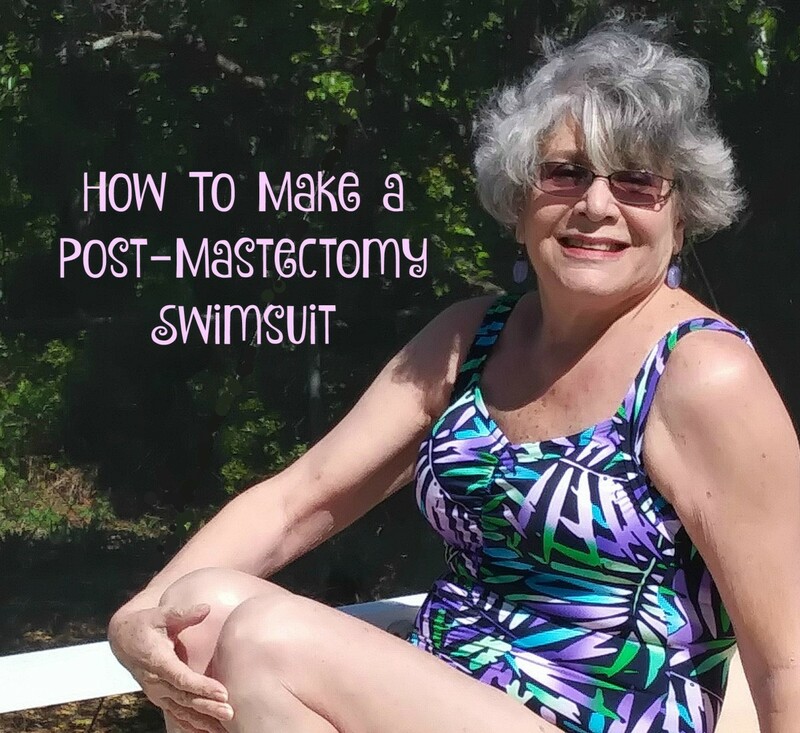 These tips for adapting to your new body should also help. 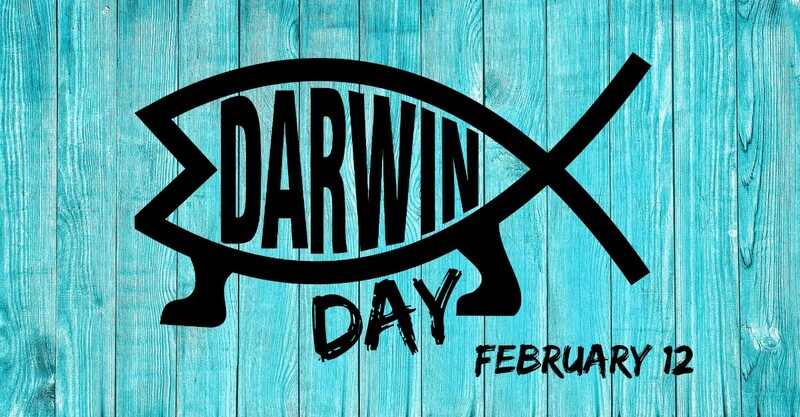 Darwin Day is celebrated worldwide every year on Feb. 12. Why do we have a holiday to celebrate Charles Darwin? 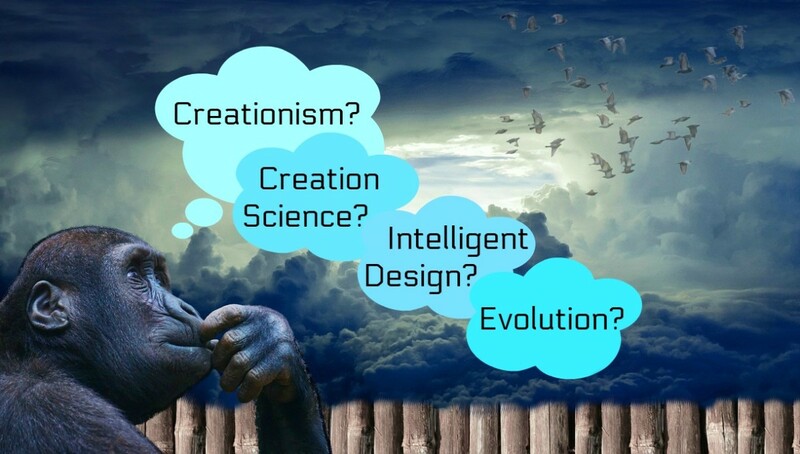 Why is Darwin a freethought hero? Flamingos are fabulous—they are so beautiful and they have some very interesting behaviors, for example, their elaborate courtship dance. 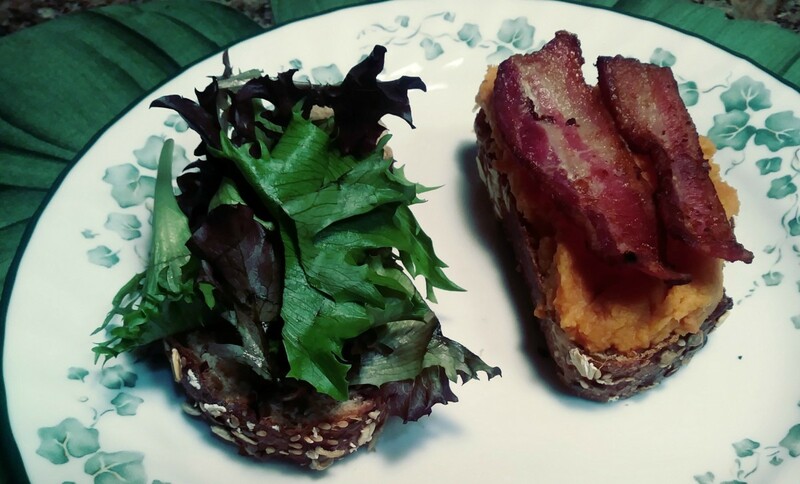 Thanksgiving leftovers are wonderful because they can be used to create so many delicious quick and easy meals. Here are some hints and recipes to inspire you. Honey bees are little marvels. Aerodynamics say they shouldn’t be able to fly, yet they do. They fly a lot and they do it amazingly well. 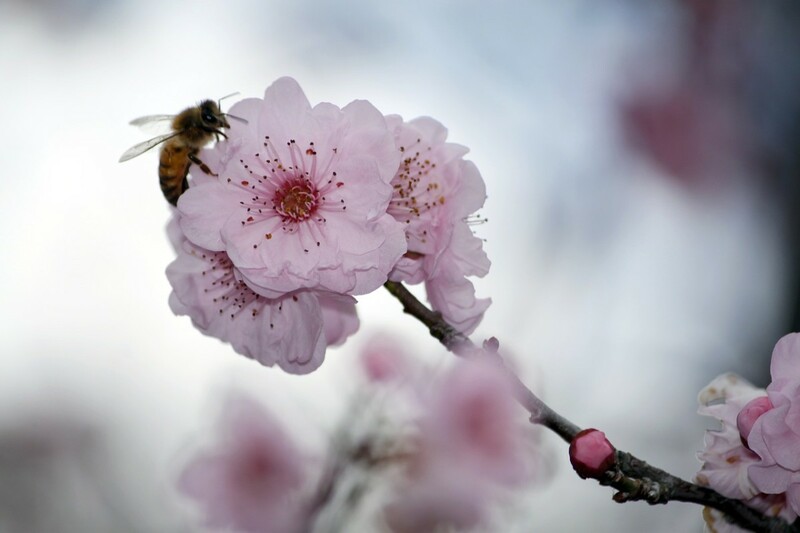 These facts about the flight of honey bees will amaze you. 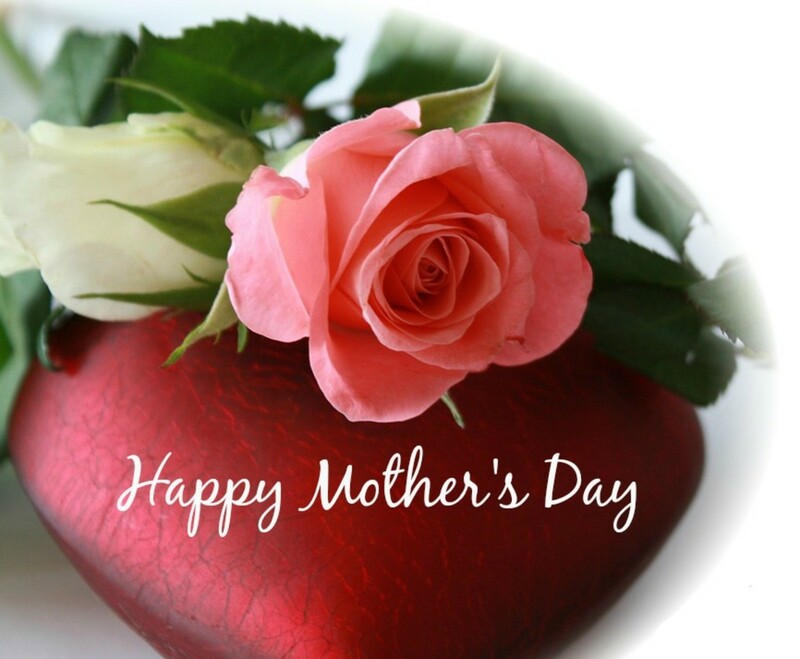 Mothers, motherhood, and mothering are perfect subjects for poetry because of the deep emotional ties between mother and child. I like a hearty breakfast on cold winter mornings. I also like to use up leftovers from holiday dinners and parties. This quick and easy recipe is ideal for both. The Satanic Temple: Religion, Cult, or Parody? 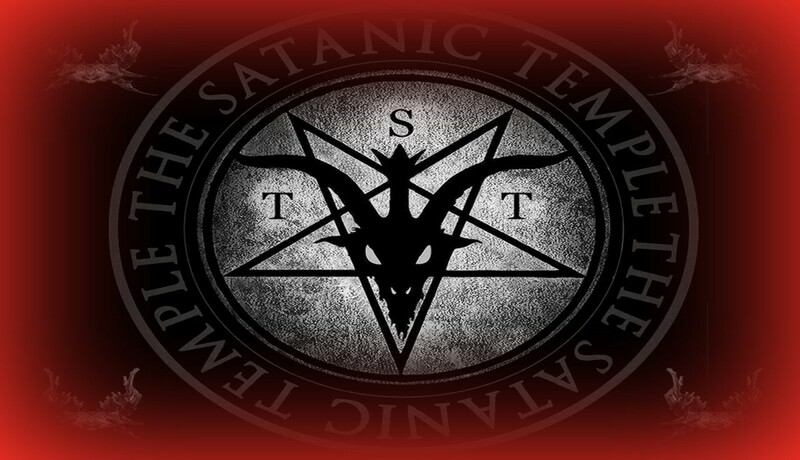 The Satanic Temple is a non-theistic religion. This essay provides a basic account of the beliefs and activities of this often misunderstood group. 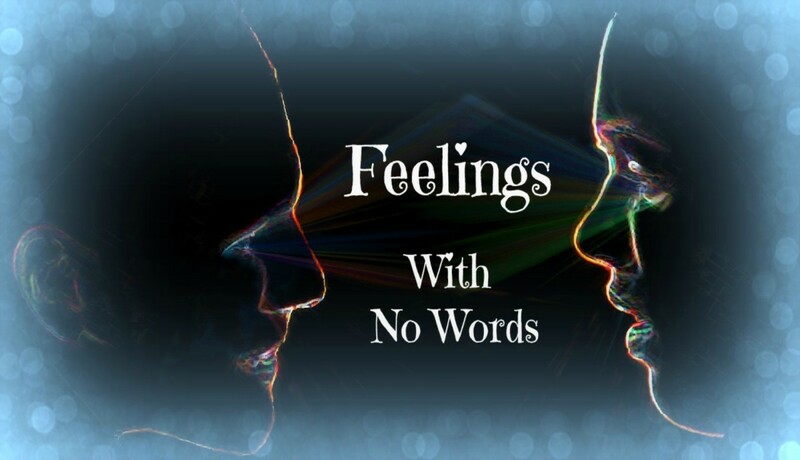 Sometimes there are no words in the English language for our feelings. But we can turn to another language for the exact word we need. What is teamwork, and how can you be a better team player? 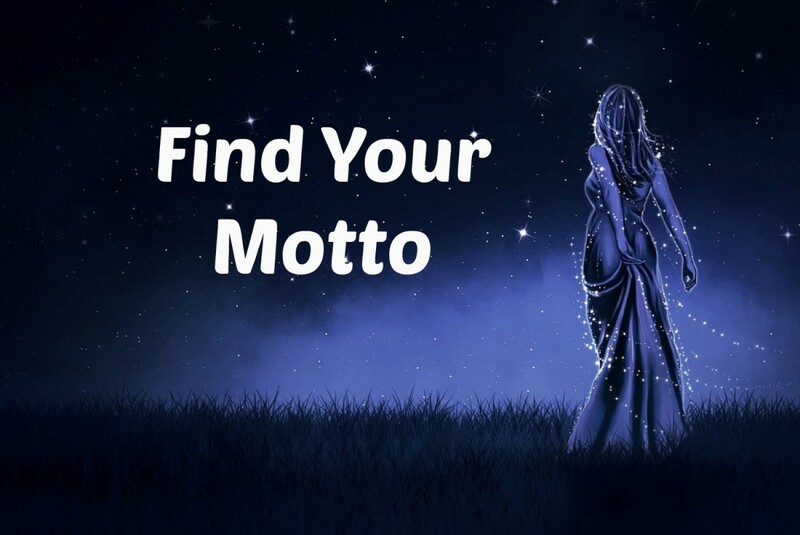 Take a look at these quotes from famous people from all walks of life for some tips. Part memoir of the Vietnam years, part philosophical reflections on war and peace, part warning about a possible impending nuclear war, wrapped around quotes and music from famous people. 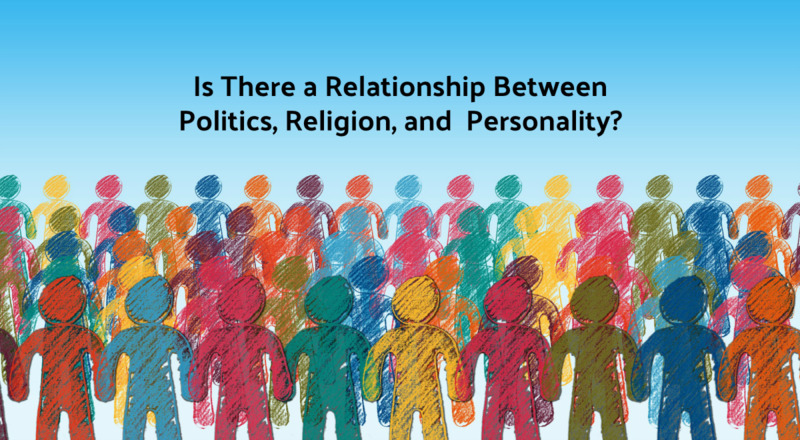 Does your personality determine your political and religious beliefs or vice versa? 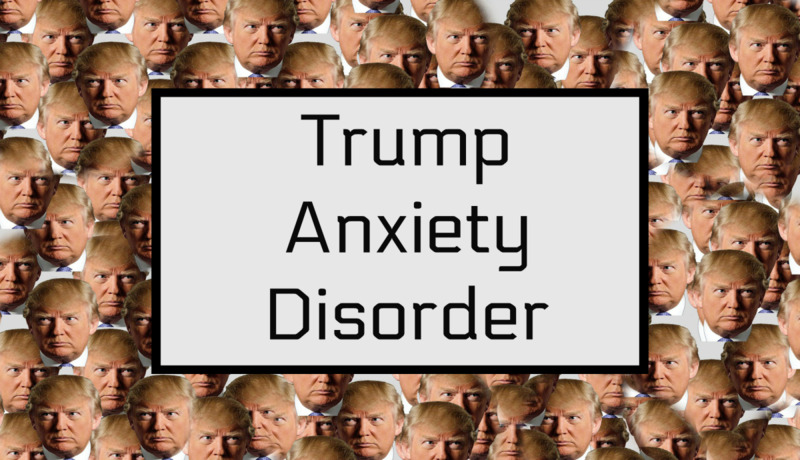 Either way, certain personality traits are clearly linked with certain kinds of beliefs. Hillary Clinton was the best-qualified candidate for president of the United States. 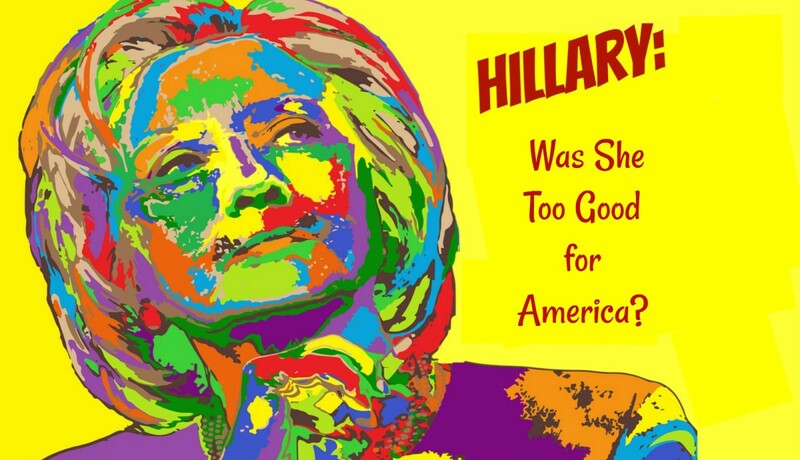 Did she lose because she was too good for America? 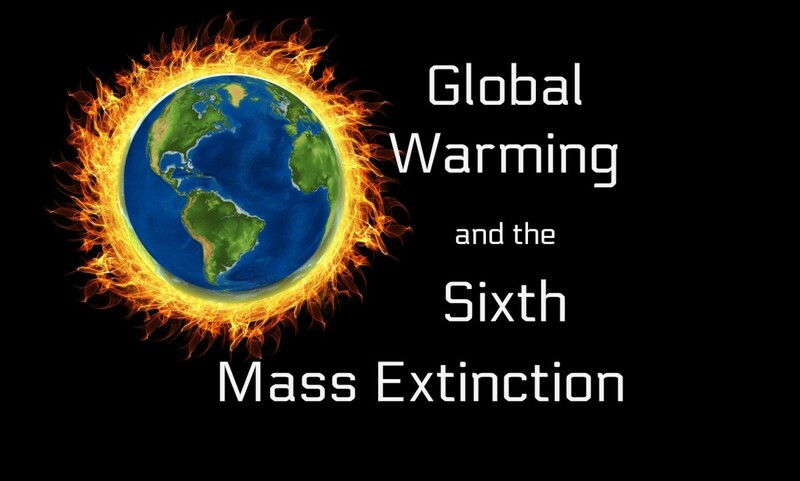 There have been five mass extinctions; we are now in the beginning of the sixth mass extinction. How is global warming threatening all life on earth and what can we do about it? 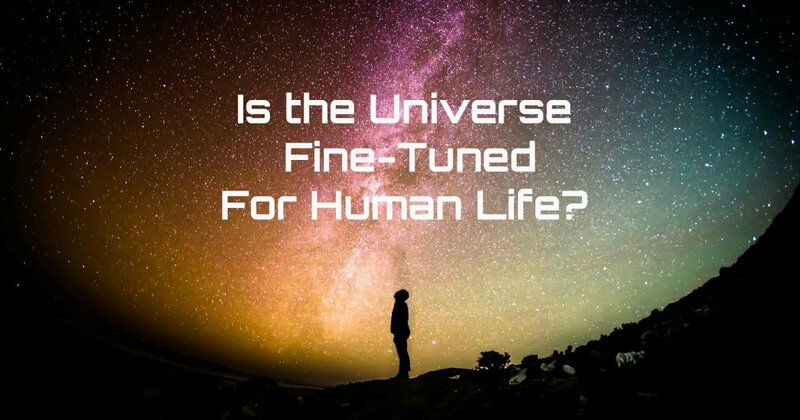 Is the Universe Fine-Tuned for Human Life? 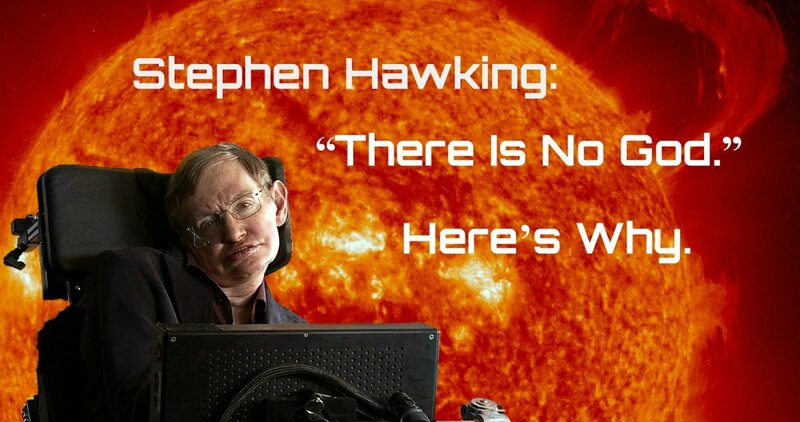 Did an “Intelligent Designer” fine-tune the universe to make it just right for human life? No! Just the opposite. Evolution has fine tuned life to fit the universe. 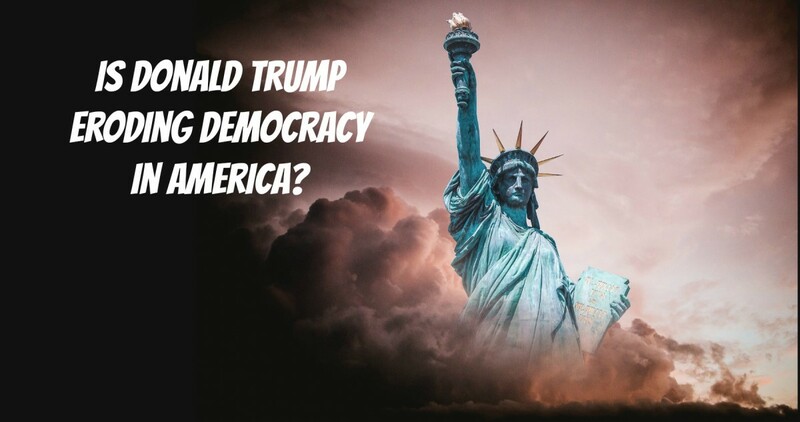 In Donald Trump’s America, democracy is being eroded in many ways. 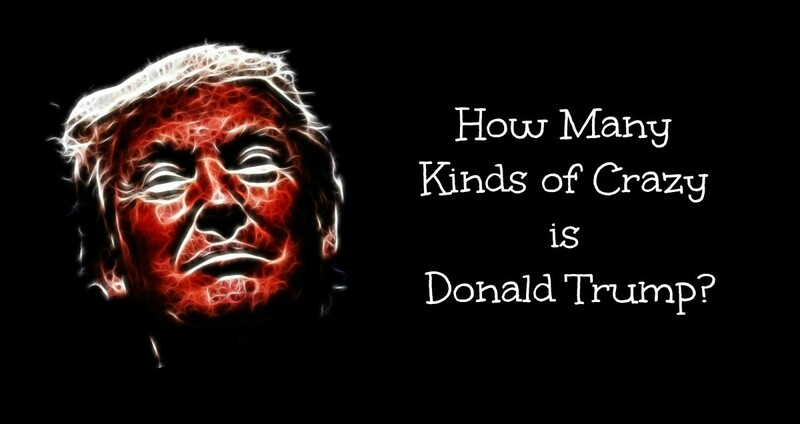 His government exhibits elements of fascism, plutocracy, kakistocracy, and kleptocracy. Also chaos! 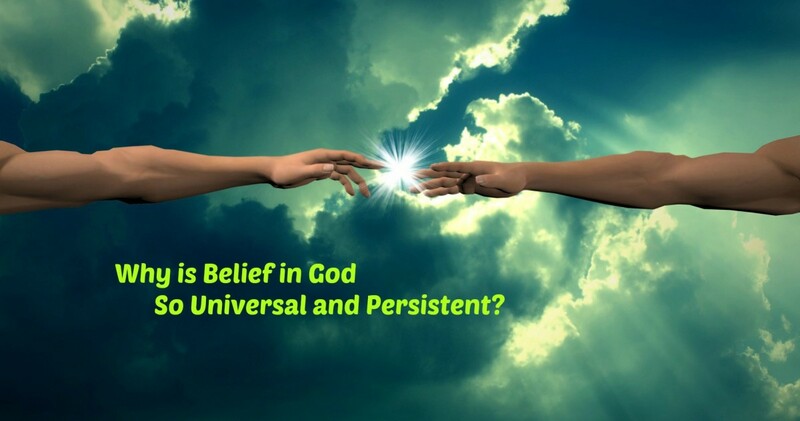 What accounts for the fact that belief in God(s) is both universal and persistent? Are humans hard-wired for belief? Can science overcome this? The queen bee is the mother of the honey bee hive. 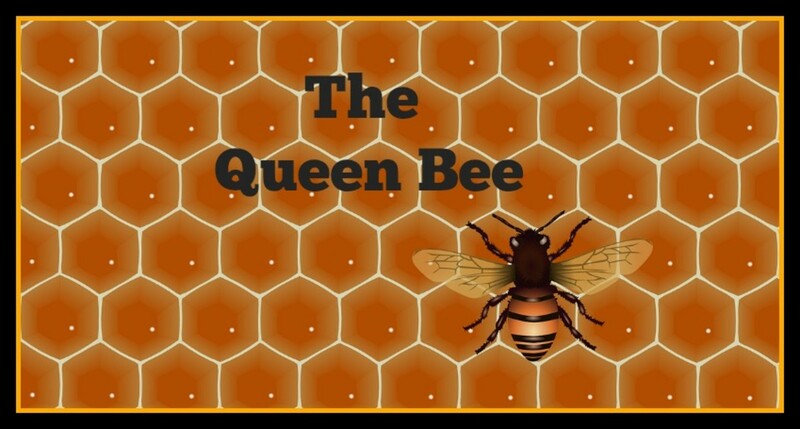 The life cycle of the queen bee and her affect upon the hive is fascinating. 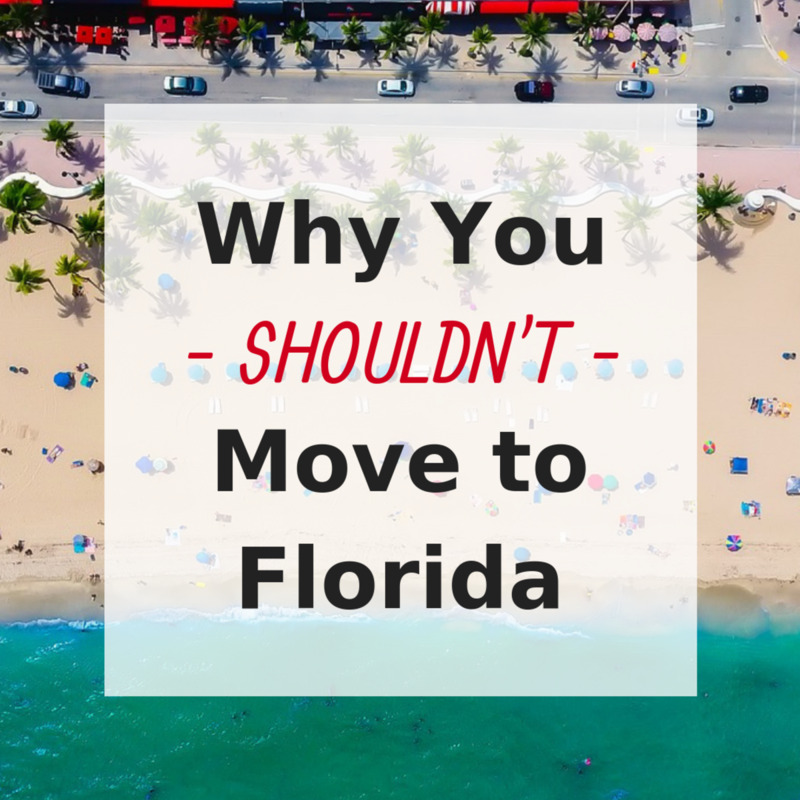 These FAQ will explain all. Why Is the Word "Zombie" Not Used on "The Walking Dead"? 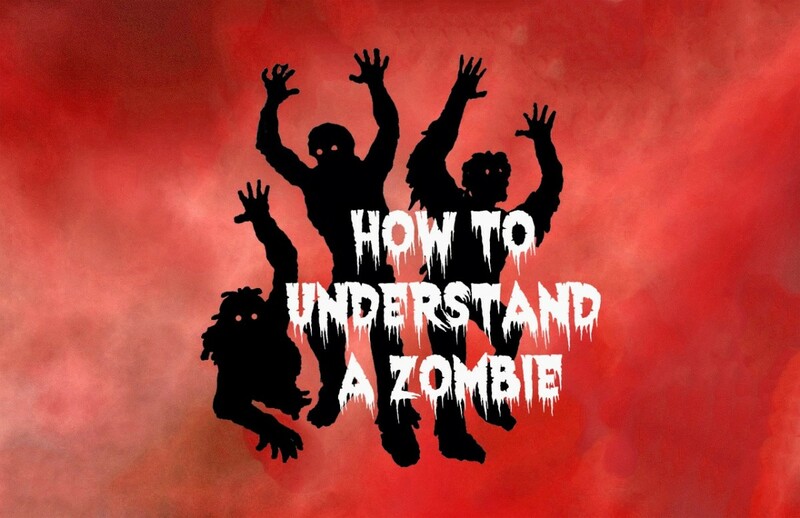 What should you call a zombie if you don’t want to call him a zombie? Here are the words used on “The Walking Dead” along with my suggestions. A belief in a soul is quite prevalent, but it raises a lot of questions The simplest answer is that the soul does not exist; it is only an illusion and metaphor. 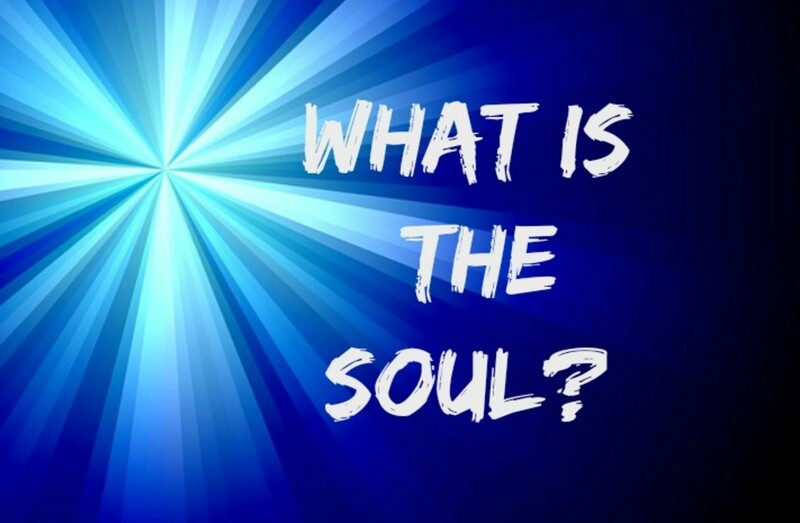 What is the soul? How has the understanding of the soul evolved from the "anima" of philosophy and theology to the "abstraction" of modern science? 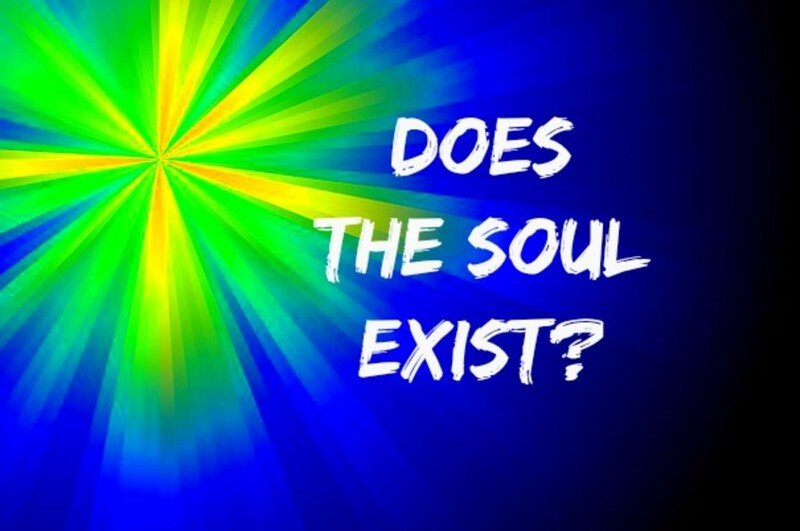 Has science shown that the soul does not exist? 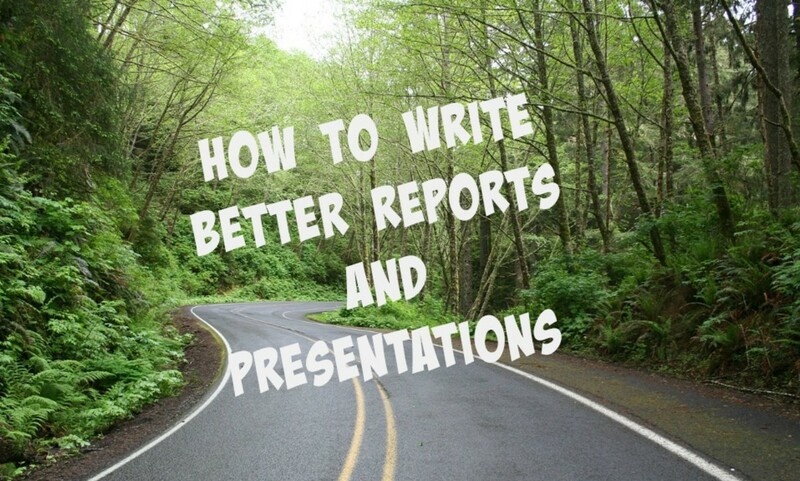 These tips will help you write better reports and presentations. Think of reports and presentations as a journey for both you and your audience. 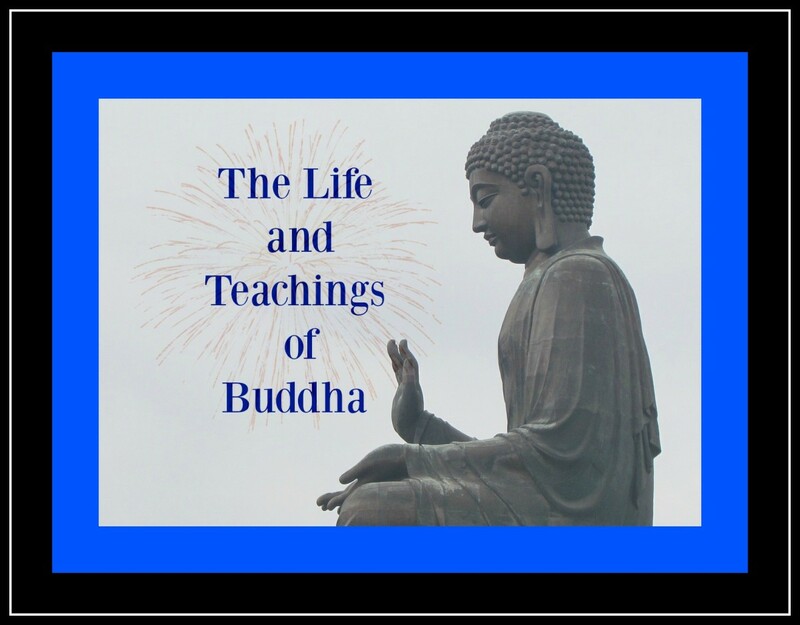 Why are there so many similarities in the life story and teachings of Jesus Christ and Buddha? Were the authors of The Holy Bible influenced by Eastern traditions? 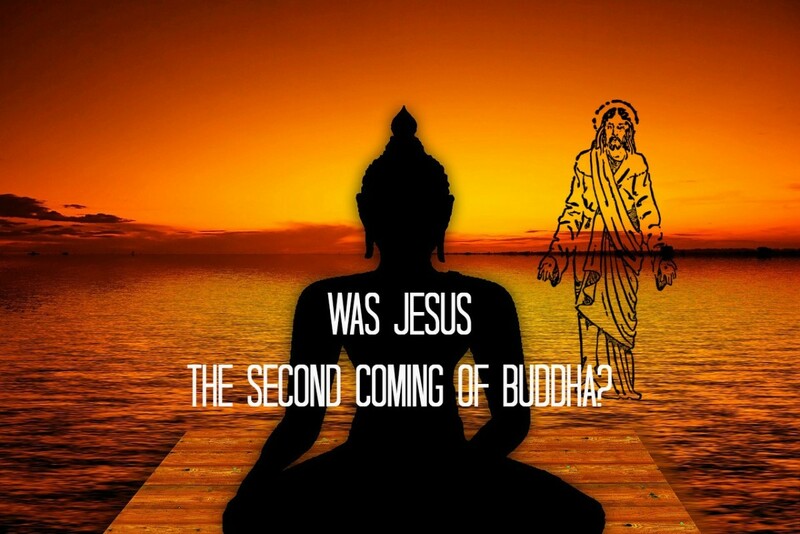 Who was Buddha? 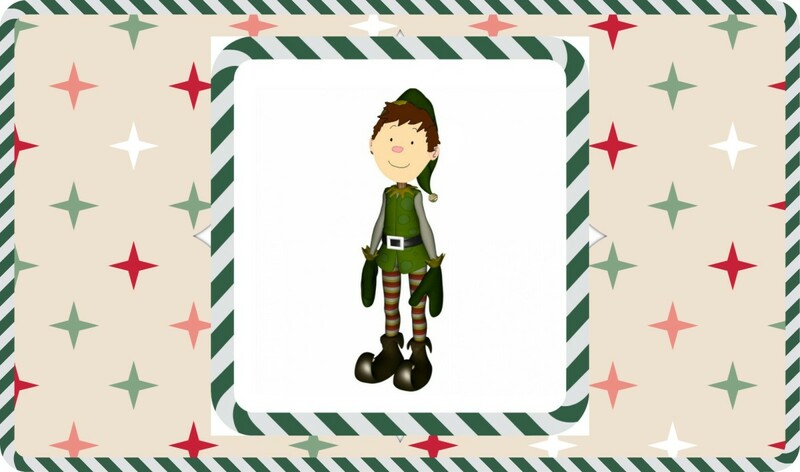 What are the facts and myths of his life? What are the basics of his teachings? Are the teachings of Buddha a practical philosophy for the 21st century? What is atheism? How is atheism different from agnosticism? Is atheism a religion? 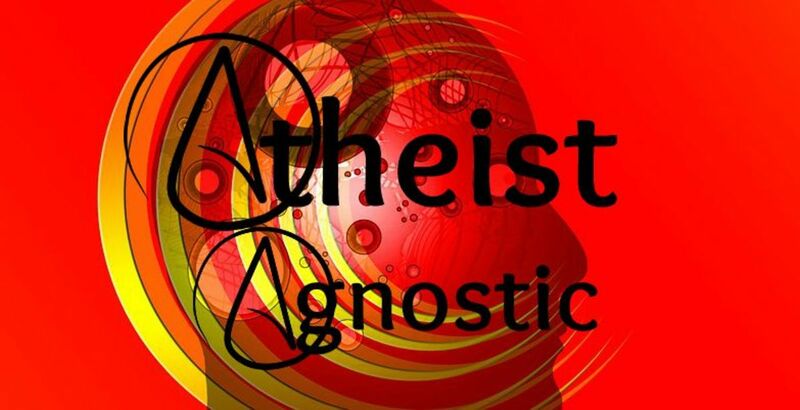 This essay aims to provide an understanding of the various aspects of atheism and agnosticism. There are a lot of claims made about the resemblances between Christianity and earlier myths and religions. Some of those claims are true and some aren’t. The historians of the 1st and 2nd centuries were barely aware of the Jewish messianic sect of Christianity and wrote nothing about Jesus Christ. The few mentions that exist are forgeries. Bees are little wonders. They pollinate our plants and give us honey. 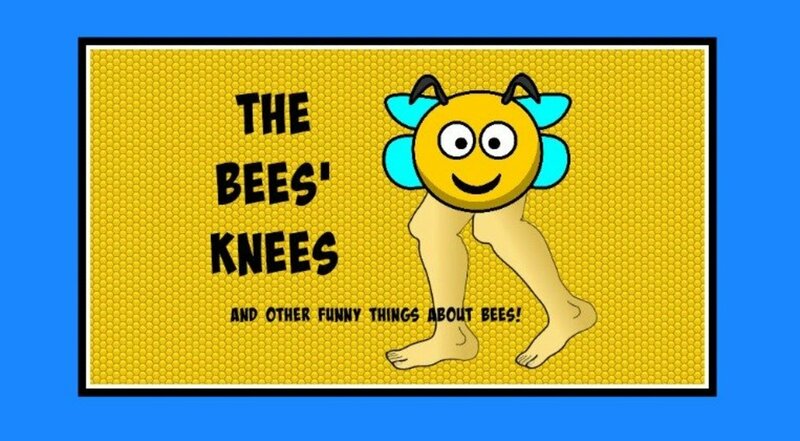 Plus bees are funny--rather, the jokes, puns and idioms about bees are funny. Here are a few facts and lots of laughs. 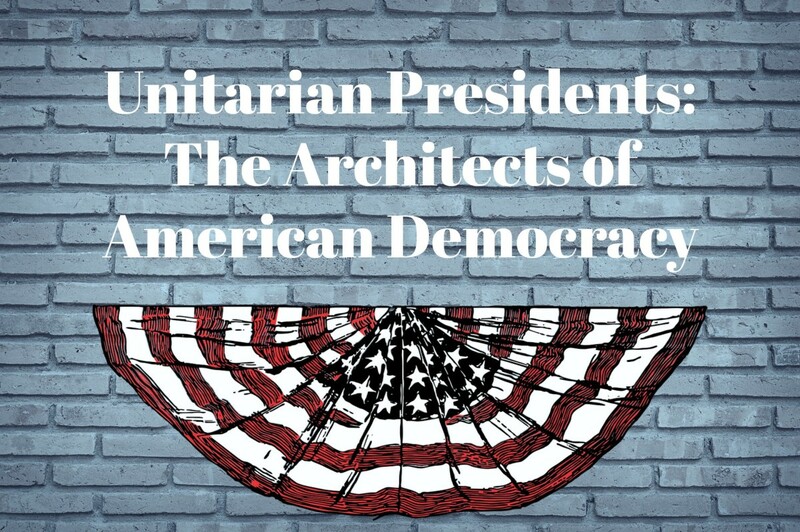 History shows that the clear intent of the founding fathers of the United States was to allow individuals to have freedom of religion while the government remained secular. 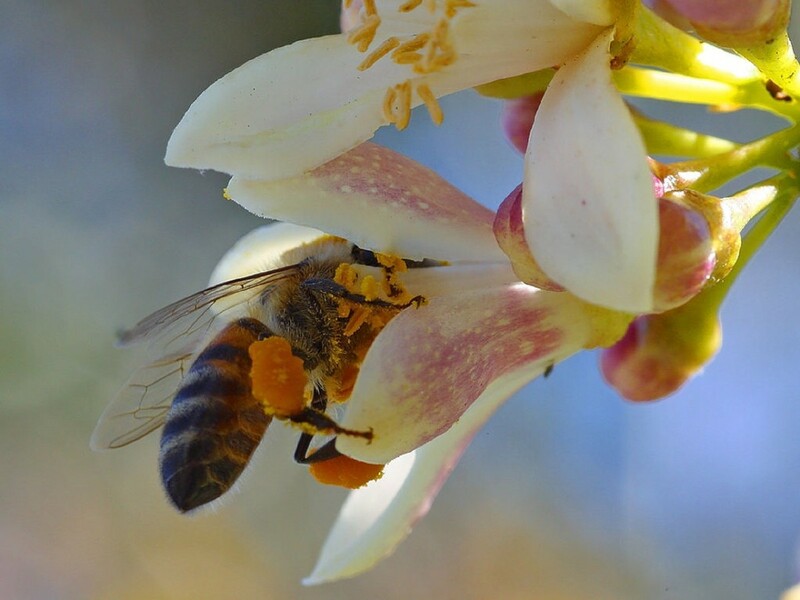 Honey bees are very important to food resources because they pollinate many crops. Beekeepers are seeing massive die-offs. 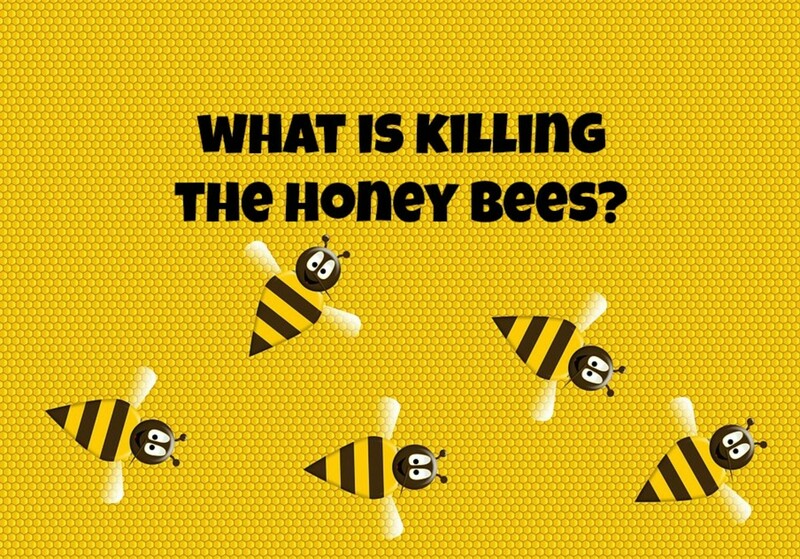 What is killing our honey bees? The Pew Research Center gives us religion by the numbers. They do a huge survey every seven years to measure trends in religious identity. 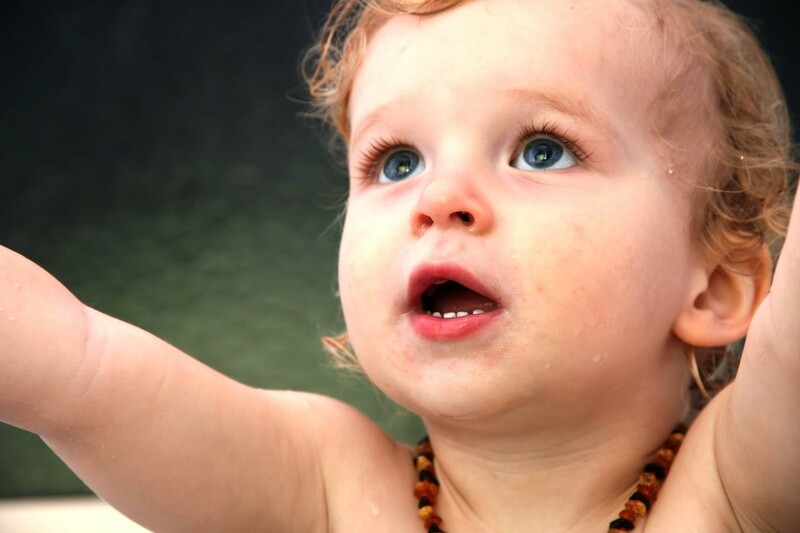 Their biggest finding in 2015—irreligion is growing. 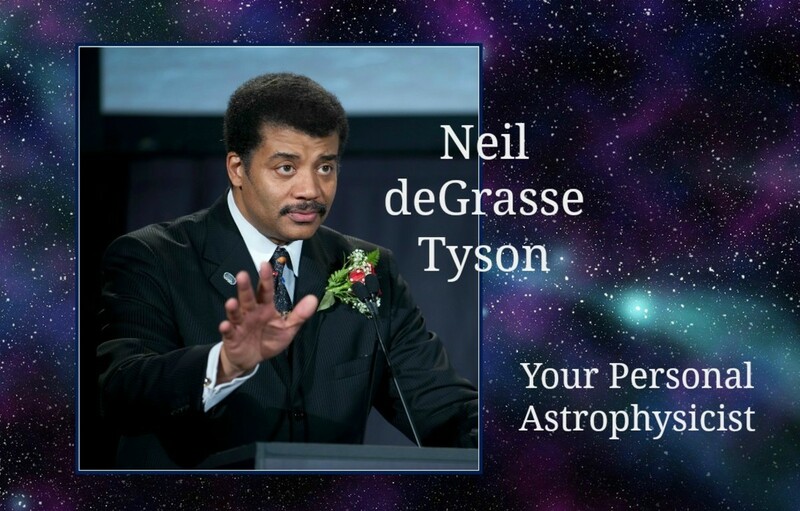 Neil deGrasse Tyson is an astrophysicist who does scholarly research but also can explain cosmology to the average person. I provide a bio and include some quotes that reveal the inner man. 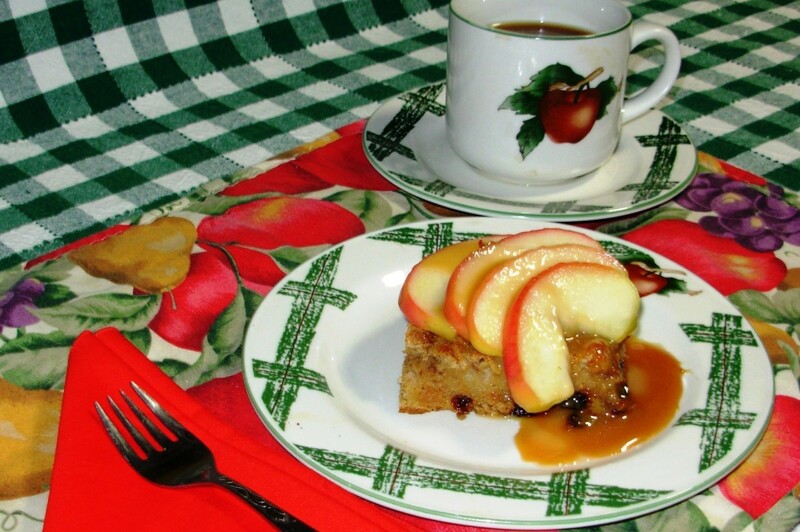 Bread pudding has been around as long as there have been frugal cooks and leftover bread. Try this inexpensive basic recipe for a quick and easy dessert. Includes tips for variations. 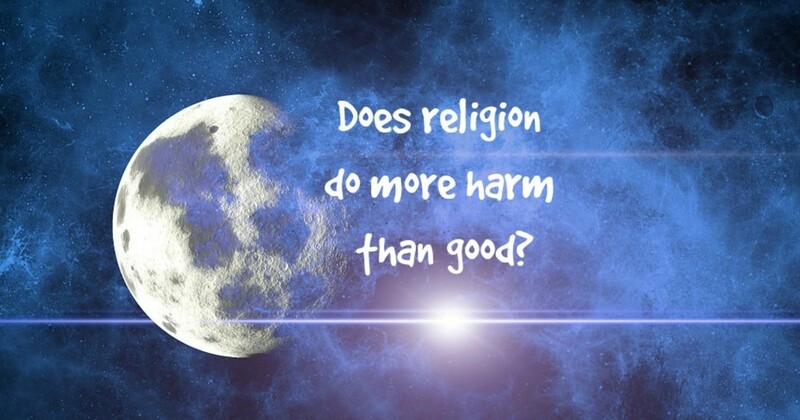 Religion has its good points, but does it do more harm than good? 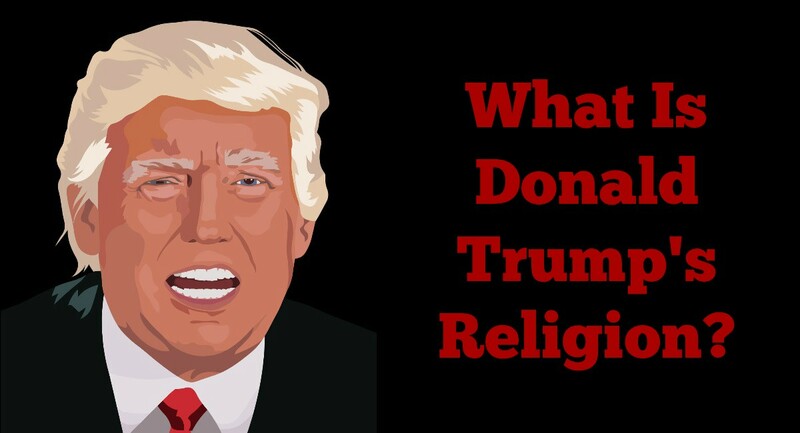 This essay does a cost-benefit analysis and discusses the good, the bad, and the ugly of religion in modern times. 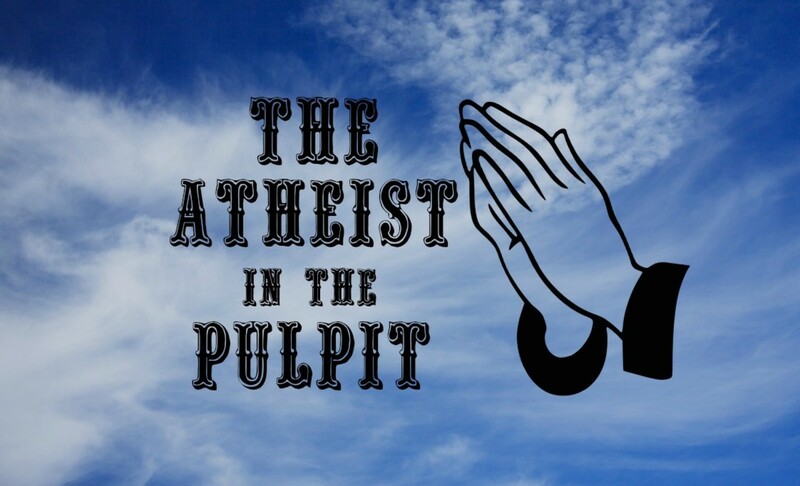 Are there atheists in the pulpit? More than you think. Some stay, some leave, some try to change what it means to believe, some start atheist churches. 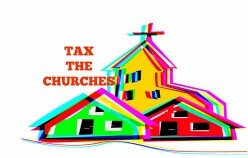 How will this affect religion? 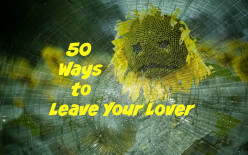 Remember the Paul Simon song, 50 Ways to Leave Your Lover? Breaking up is hard to do, and so is saying goodbye with style. 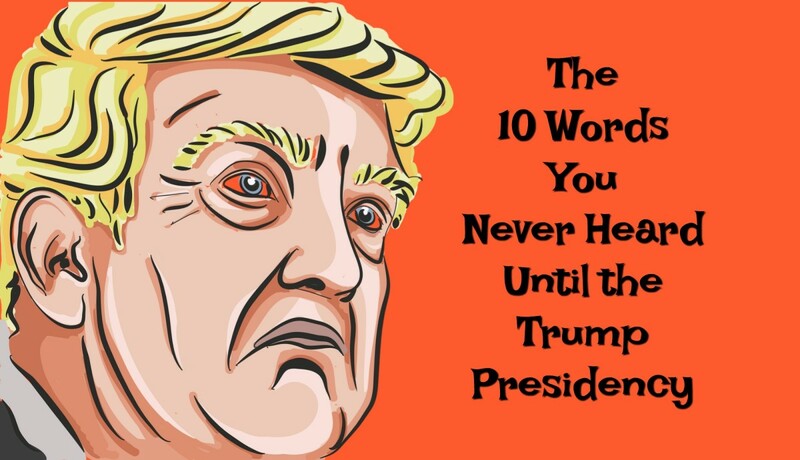 Here is a facetious and humorous look at 50 plus ways to say it’s over. The Naughty Grammarian instructs on the finer points of English grammar and usage, points either never learned or long ago forgotten. 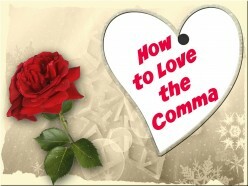 This lesson is about how to love, and use, the comma. Writers need to learn their craft and their business. 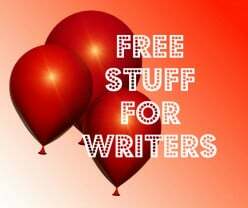 Fortunately, there is lots of free how-to advice available as well as inspirational articles and even writing prompts. Calling all logophiles and lexophiles—it’s time to have some fun wordplay fun. 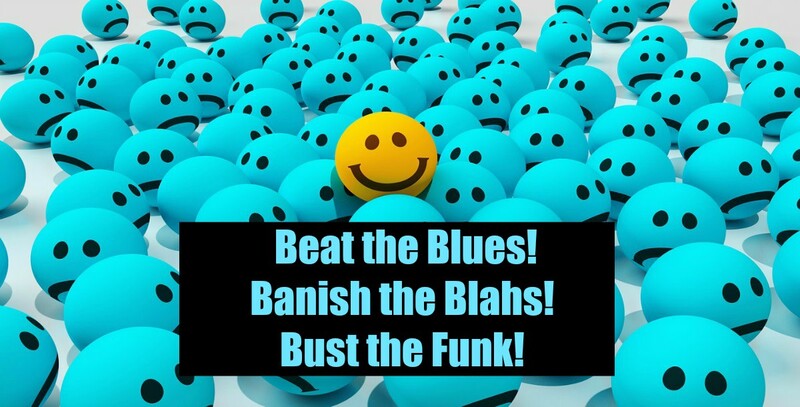 Paraprosdokians use puns and other techniques to alter meaning in an unexpected and funny way. Arthritis afflicts millions of people. 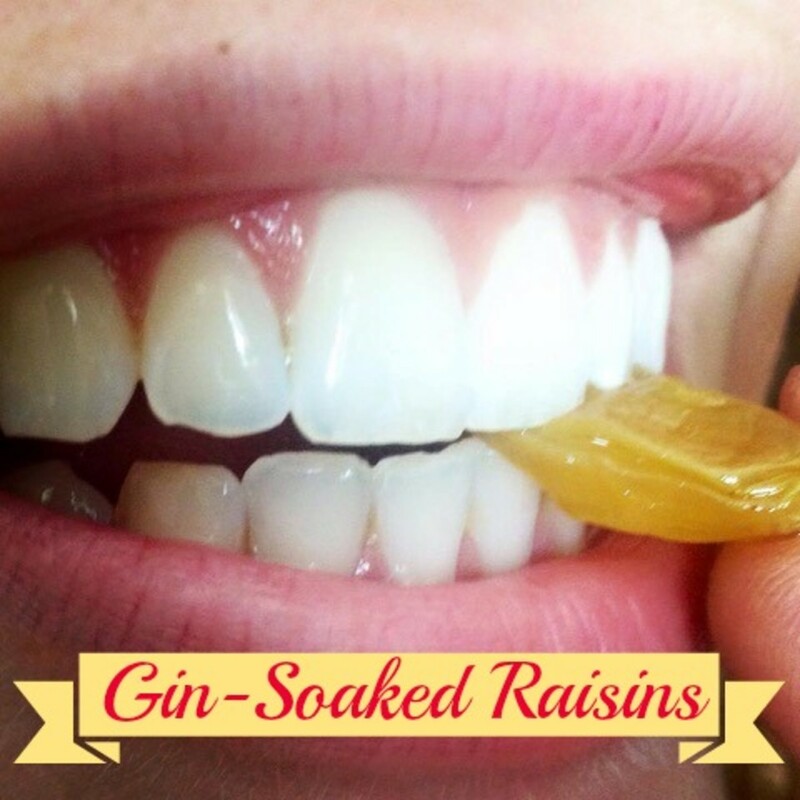 Learn more about this condition and learn how a simple home-remedy, gin-soaked raisins, can bring relief from the pain of arthritis. The calendar is divided into four seasons, each with its own characteristics. This essay discusses how the seasons are determined and provides some thoughts about each using poems, quotes, and metaphors. 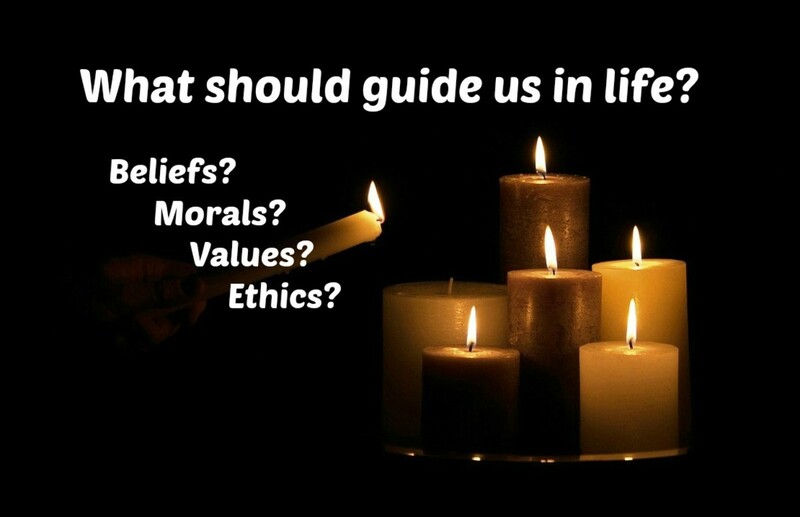 Do you know the difference between beliefs, values, morals, and ethics? They are the principles we live by. How can we find the “good”? Getting old is not so bad when you consider the alternative. 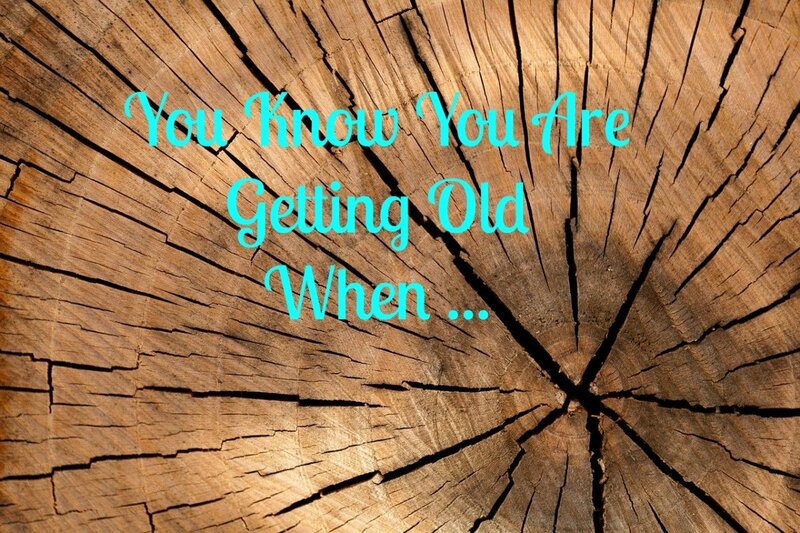 The statistics show us that the world’s population is aging, so let’s take a humorous look at getting old. 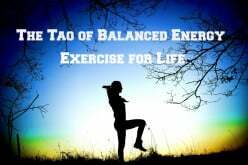 Balanced energy is about living in harmony. 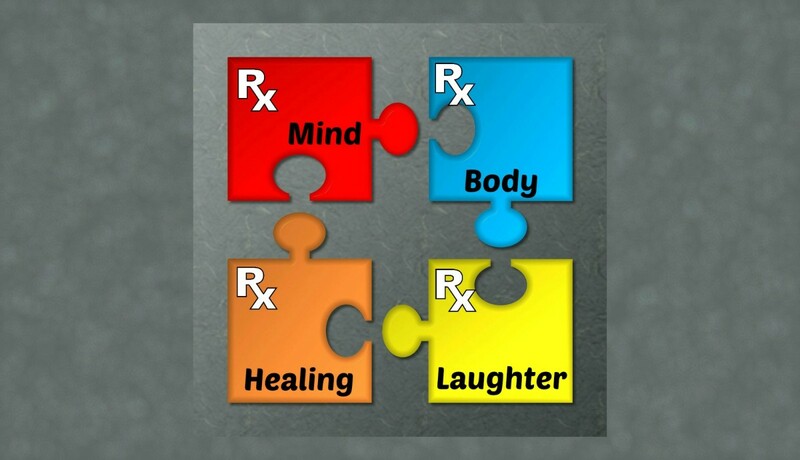 The path to wellness includes nutrition, exercise, and spirituality. 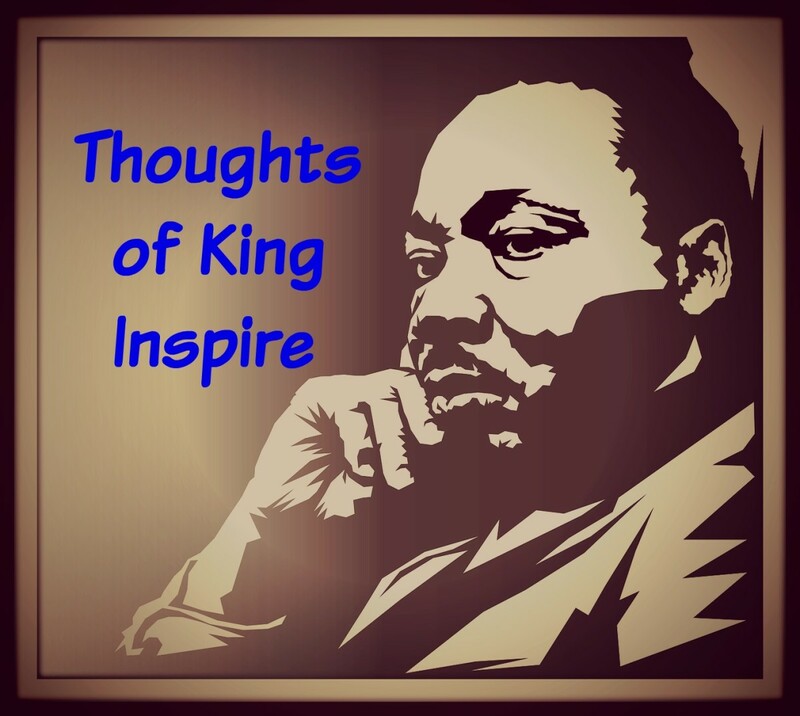 I provide some thoughts on how to be a spiritual person. Everyone has to make money. I’ve distilled the wisdom wit, inspiration, and cynicism from the quotes of famous people and swirled it around some of my own thoughts. 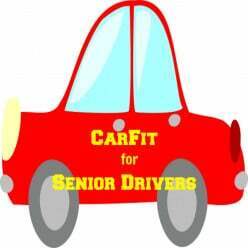 CarFit is an educational program to help older drivers be safer on the road. It is a free 20-minute check-up designed to help the older driver have a good “fit” with his vehicle. 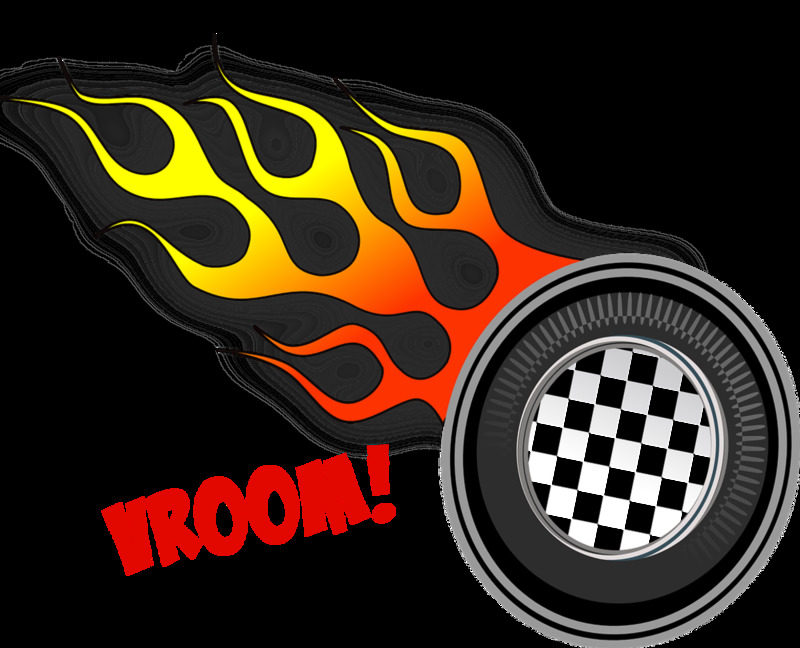 The roar of a car engine is so emotionally satisfying—it suggests power and performance. Newer fuel-efficient cars don’t roar so manufacturers are amping up the sound electronically. 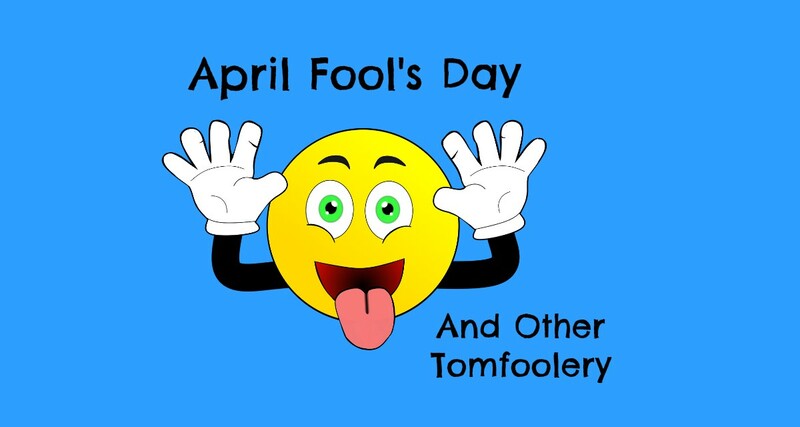 What is the origin of April Fool's Day? What is the meaning of tomfoolery and other fool-ish things? 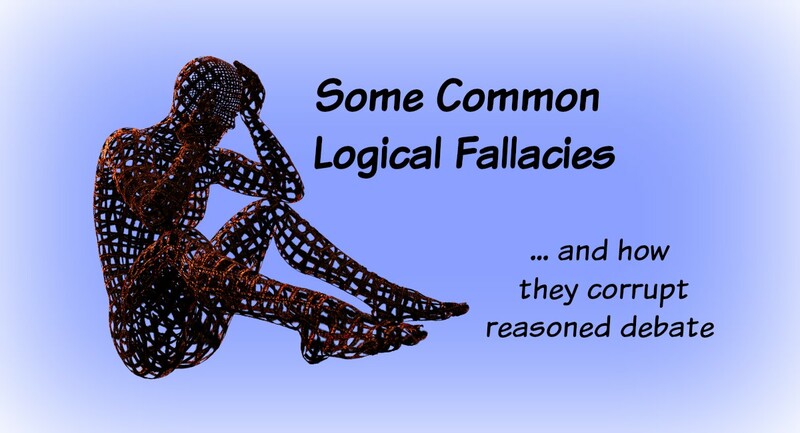 What are some common proverbs and sayings about fools? Sometimes you have a brief chance encounter with someone, but it makes a lasting impression. 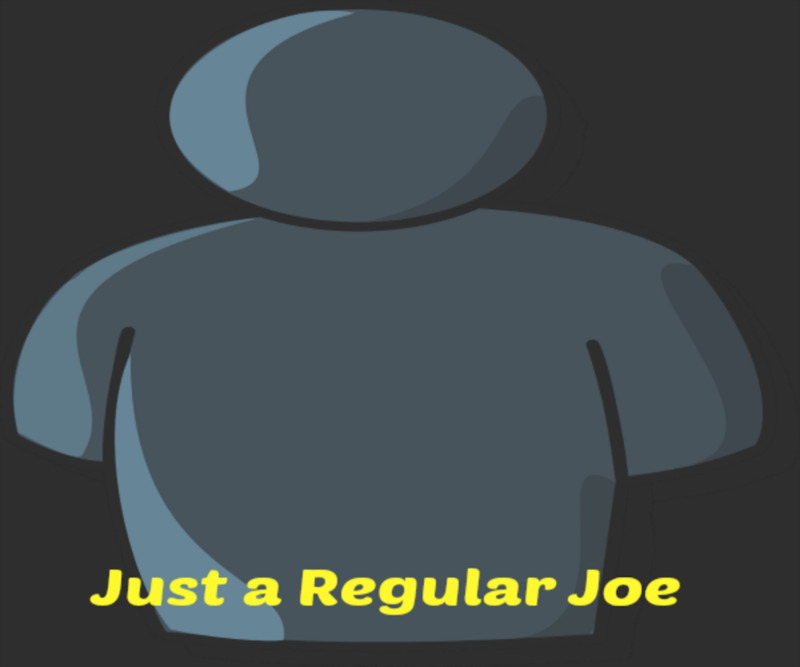 This story is about one of those times, the time I “almost met” Joe at a meetup. Why do writers write? What advice can they offer us on the art of writing? 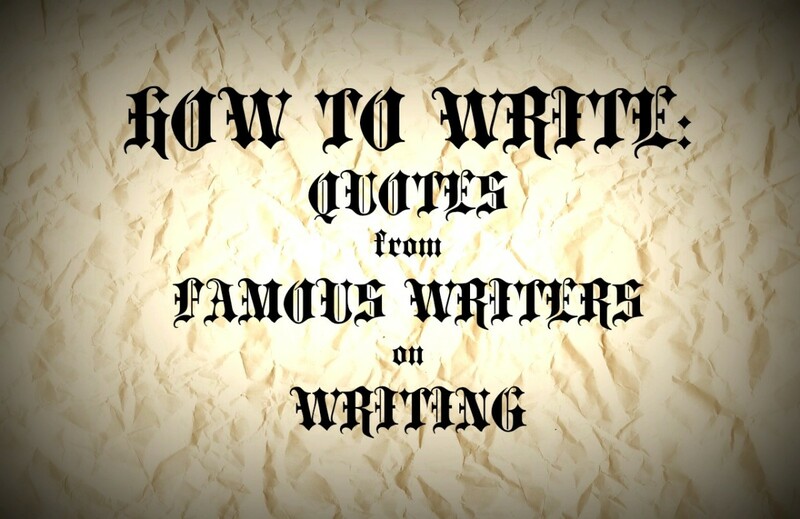 The quotes of writers from ancient times up to the present can teach us a lot about writing. The yearning for do-overs is universal. Most of us would love to undo some things in our past, but would different choices really be better choices? 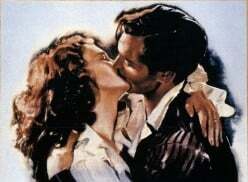 Sometimes you have a brief chance encounter with someone, but it makes a lasting impression. 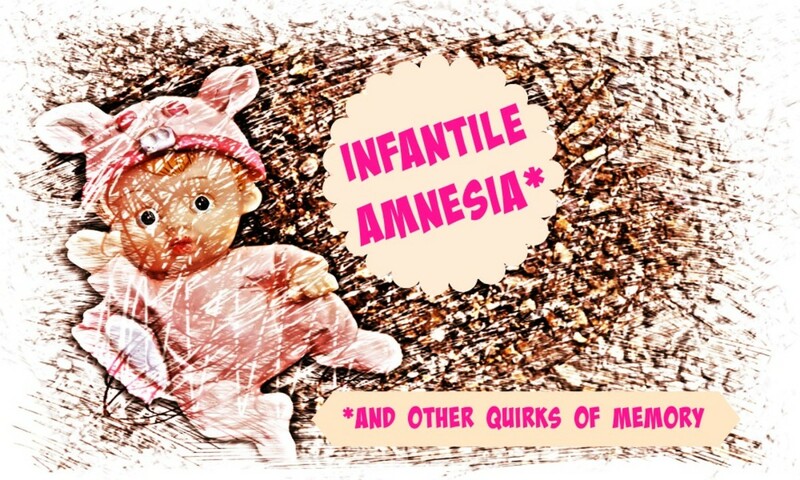 This story is about one of those times, the time I “almost met” a baby in a swim class. Sometimes you have a brief chance encounter with someone, but it makes a lasting, even life-changing, impression. 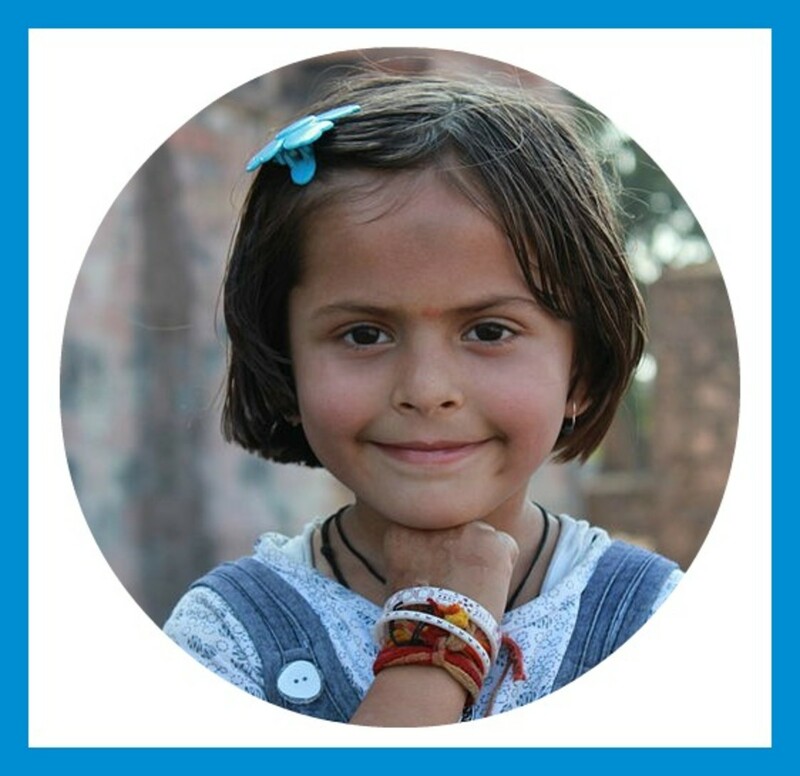 This story is about Aanya, a little girl I “almost met” at a yard sale. 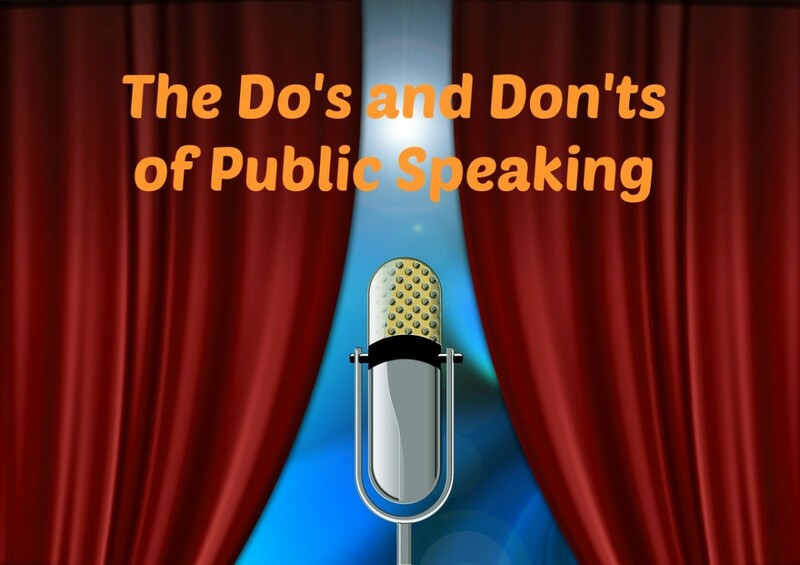 Many people are very anxious about giving a speech or presentation. 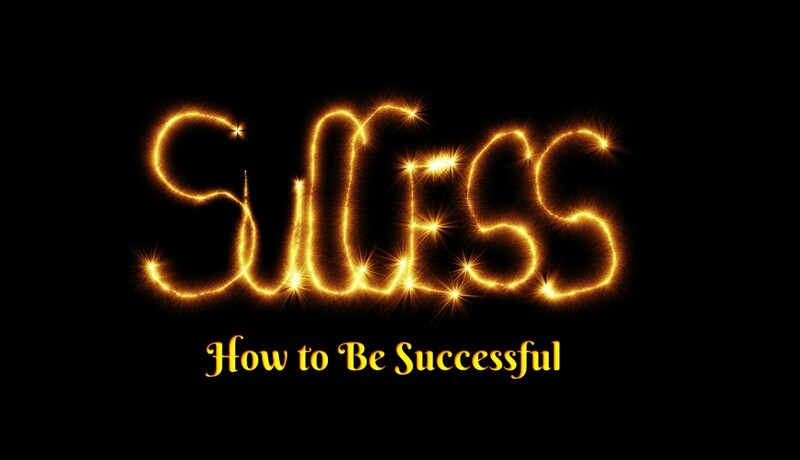 I’ve given hundreds of speeches, and I will show you how you can give a great speech with confidence. Have you ever said, “I don’t know what to write about.”? 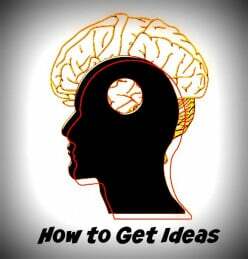 I found 30 ideas in 30 minutes. I hope my ideas will spur you to use my techniques to find your own ideas. Sometimes you have a brief chance encounter with someone, but it makes a lasting, even life-changing, impression. 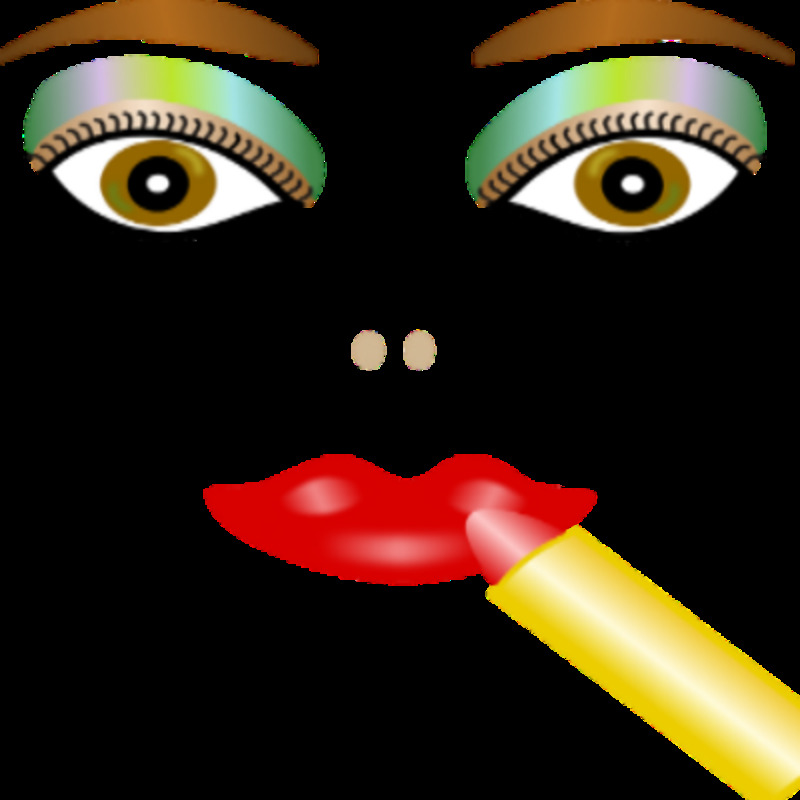 This story is about the ladies I “almost met” at a cosmetics counter at Dillard’s. 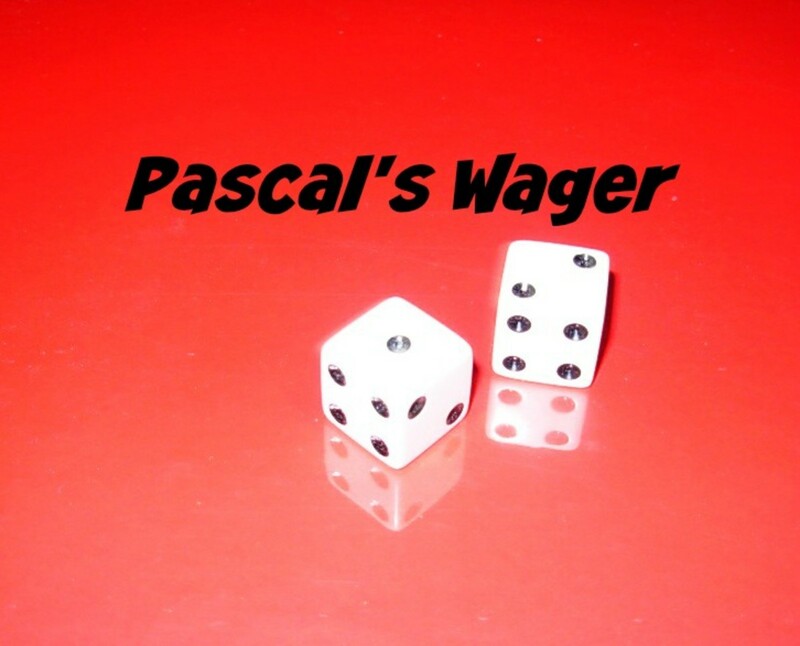 The famous “Pascal’s Wager” asks us to consider the question of the existence of God as a wager. Which is the better bet—belief or disbelief? Sometimes you have a brief chance encounter with someone, but it makes a lasting, even life-changing, impression. 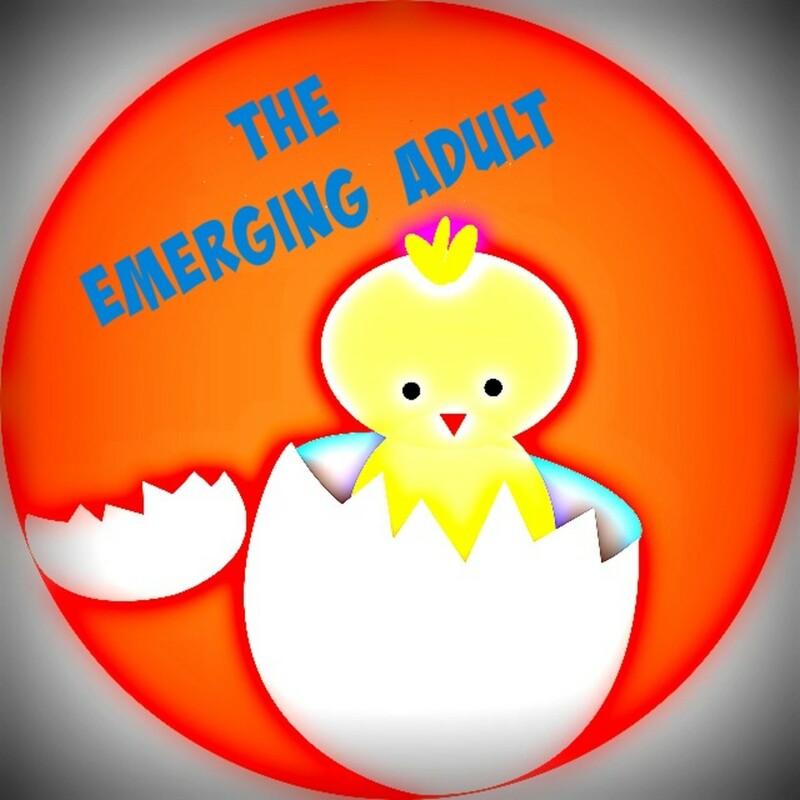 This story is about the time I “almost met” an elderly gentleman in the supermarket. Sometimes you have a brief chance encounter with someone, but it makes a lasting impression. 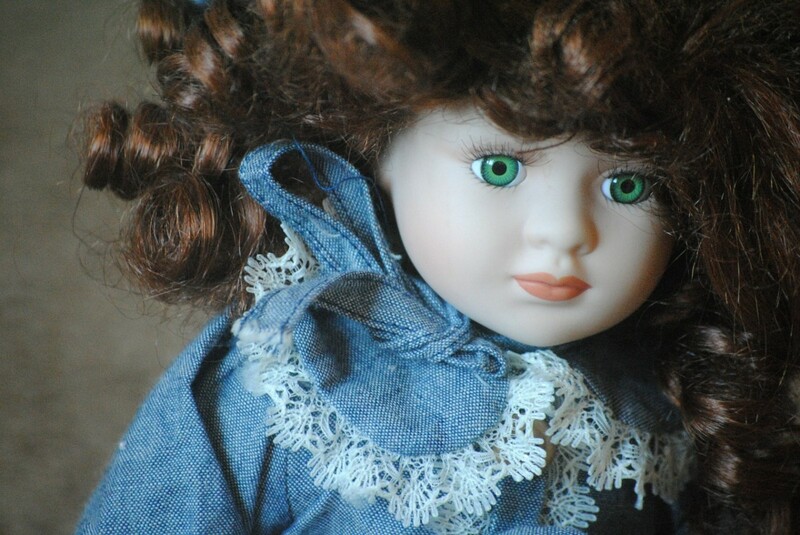 This story is about one of those times, the time I “almost met” a little girl in the ladies room. Sometimes a brief chance encounter makes a lasting impression. It can even be life changing. 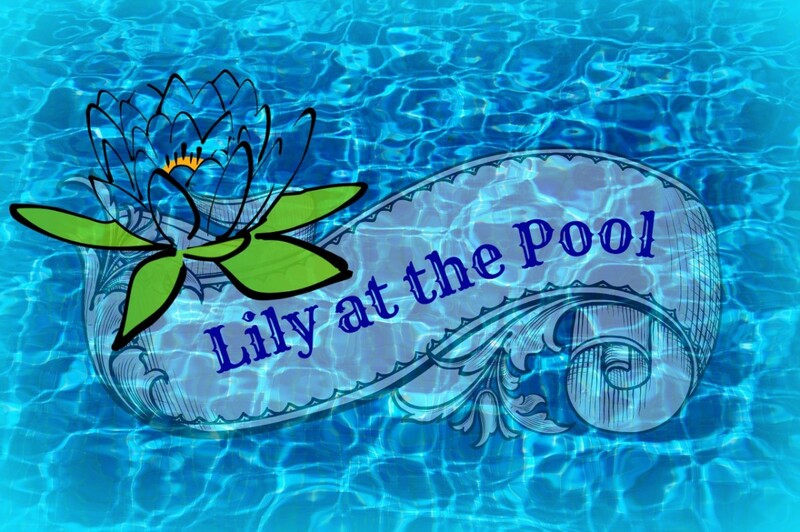 This story is about one of those times, the time I “almost met” Lily at the pool. 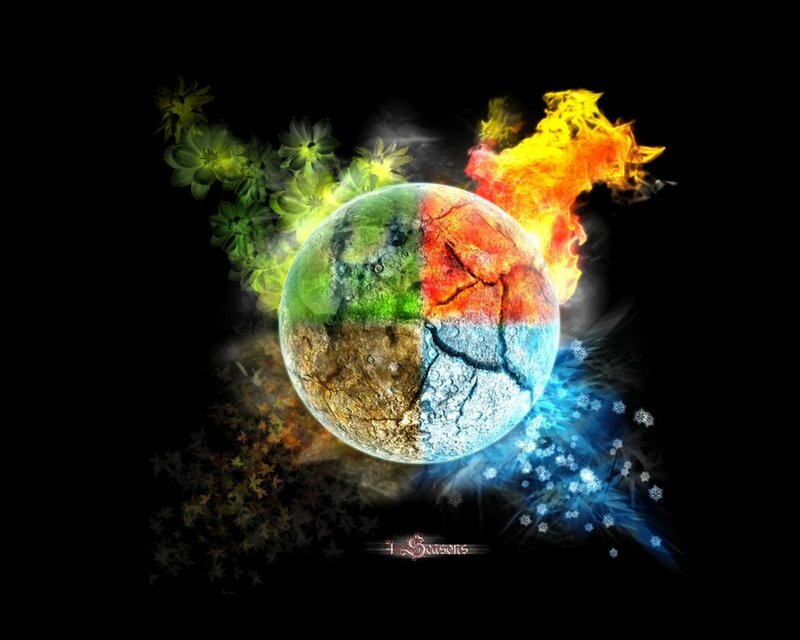 Balanced energy is about living in harmony. The path to wellness includes nutrition, exercise, and mindfulness in all things. Exercise will add years to your life and life to your years. A quick and easy dessert recipe—part pumpkin pie, part cake, part cobbler; 100% delicious. 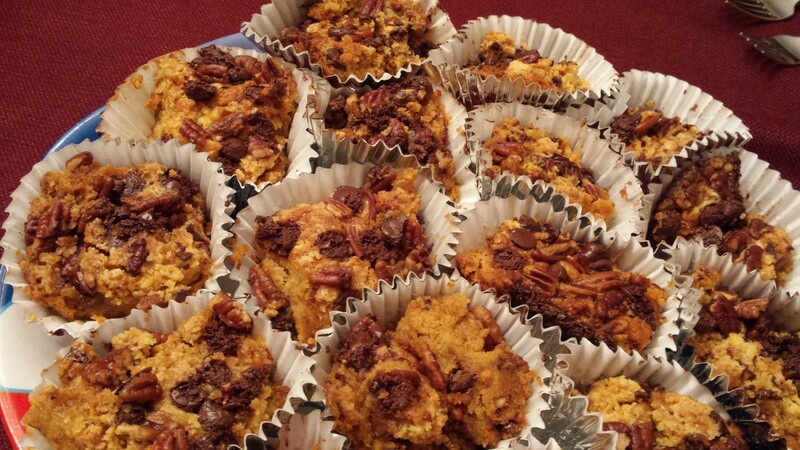 The chocolate pecan topping makes it extra special. 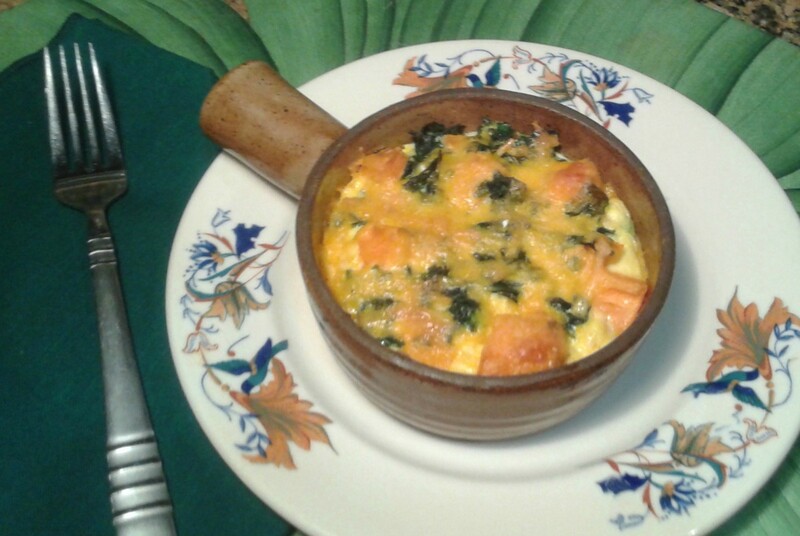 This recipe will be a favorite all year long. Sometimes you have a brief chance encounter with someone, but it makes a lasting, even life-changing, impression. 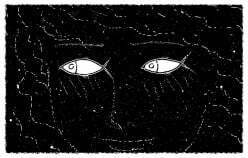 This story is about one of those times, the time I “almost met” a boy on a corner. 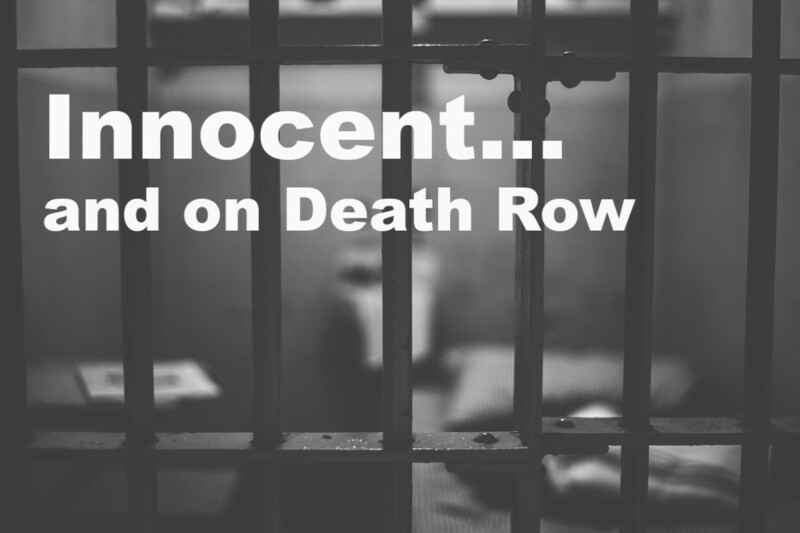 There are many cases of innocent people being executed in the U.S. There are many reasons why innocent people are on death row. One reason underlies all the others: Humans are imperfect. Can you move mountains? Unlikely, but you can probably nudge a molehill. 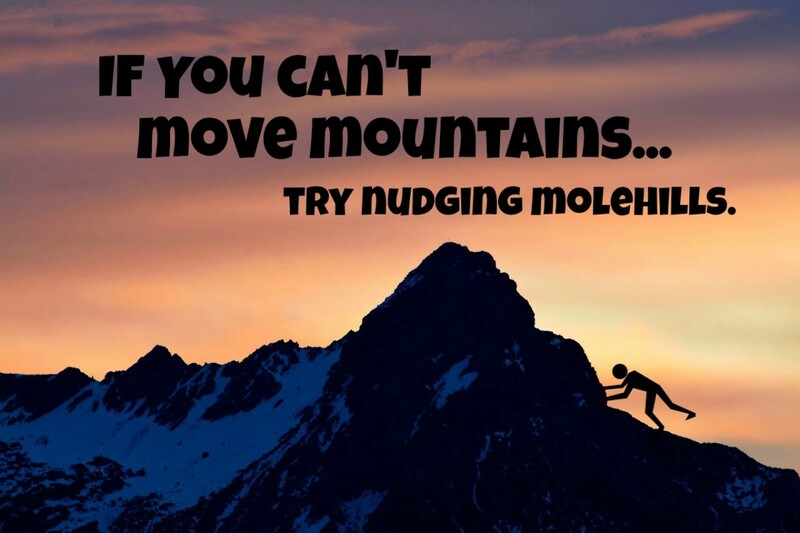 Move enough molehills, and you may find that you have moved a mountain. It’s just an inspirational metaphor for success. 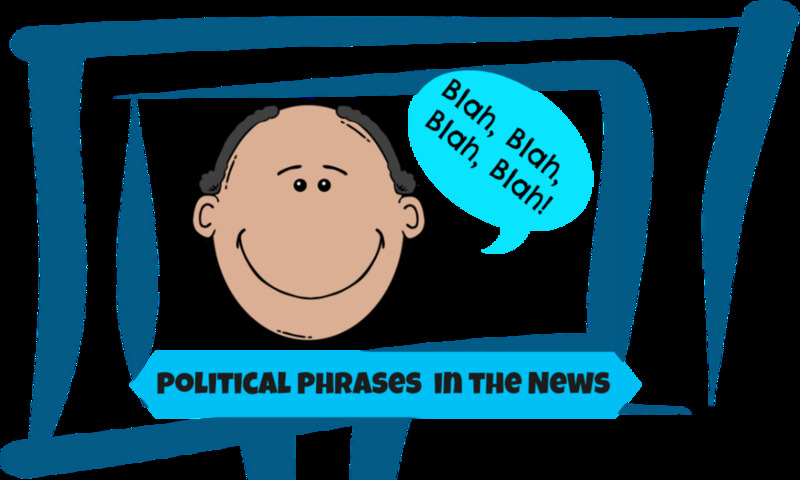 Politics are full of catchphrases and clichés. Some express serious political ideas; others are merely catchphrases. 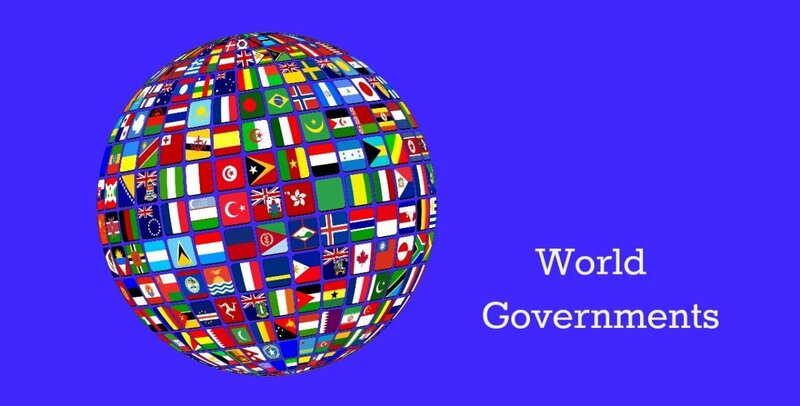 What are the definitions, origins, and meanings of some common political phrases? 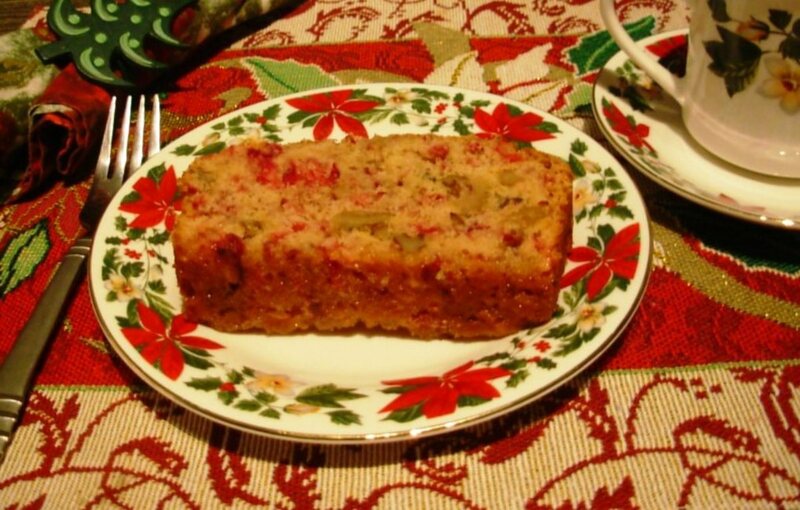 Do you want a recipe for a healthy cranberry pie with made without added refined sugar? Cranberries and cherries and walnuts are all antioxidant rich super foods. This all-natural pie is sweetened with honey. You are never too old to act like a kid. You can bring back the laughter and joy you felt as a kid by acting like a kid. 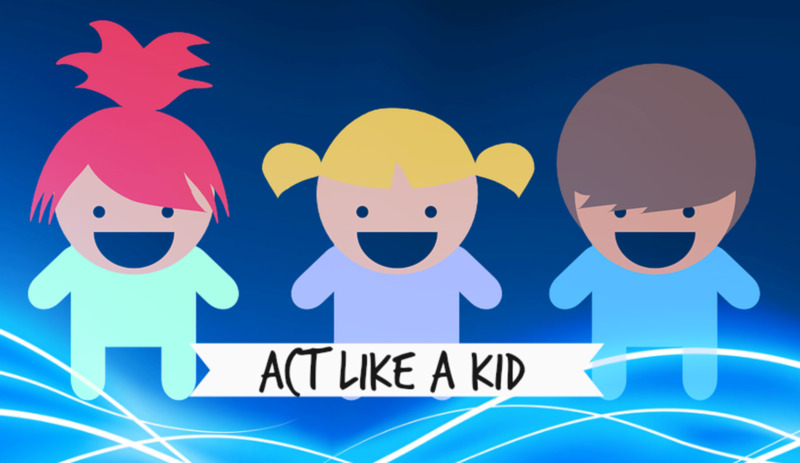 Surprisingly, acting like a kid may aid in longevity. The Naughty Grammarian instructs on the finer points of English grammar and usage, points either never learned or long ago forgotten. 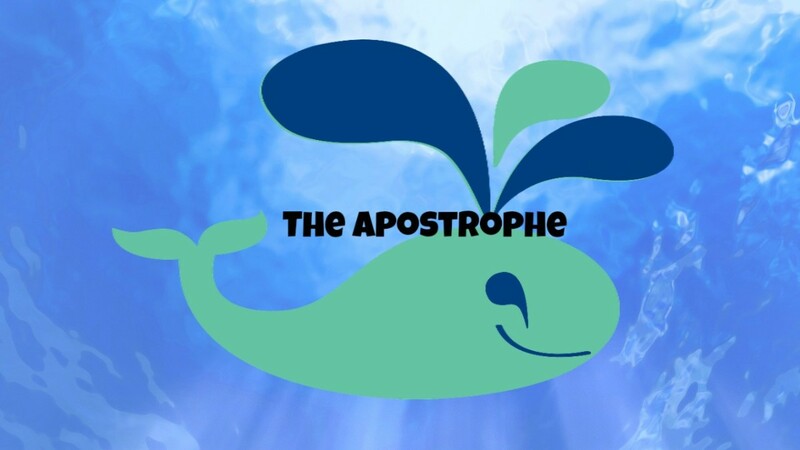 This lesson is about apostrophes. 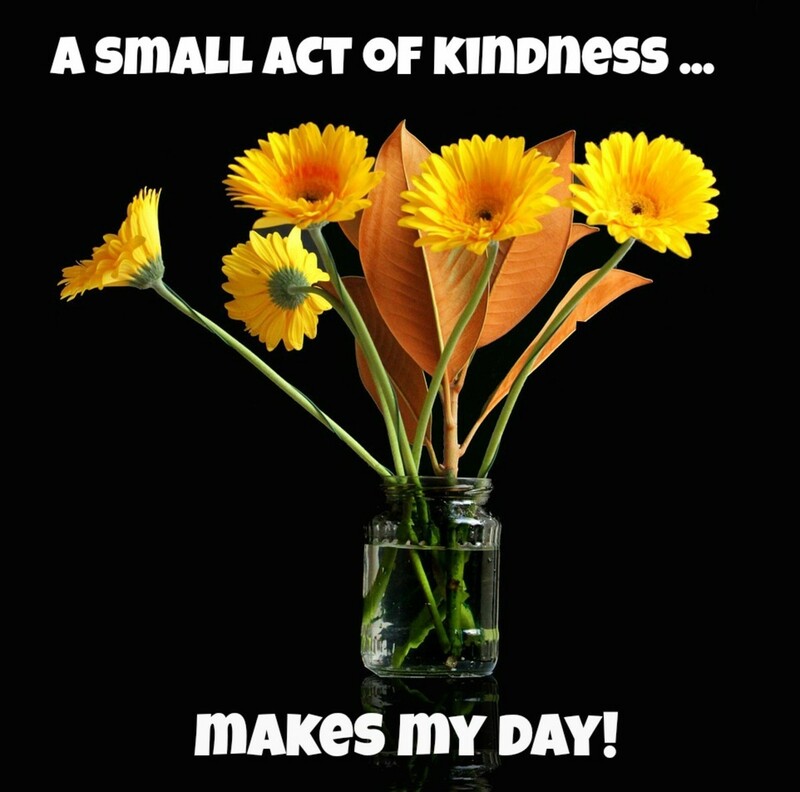 A small act of kindness can “make someone’s day.” Quotes from famous people can help us understand the importance of kindness and the effect it can have in our lives. 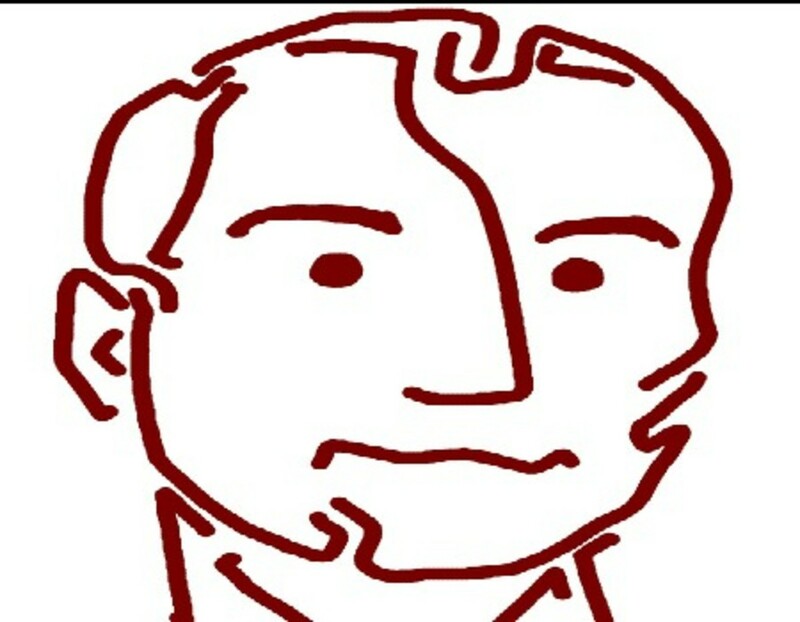 Albert Pierrepoint was known was “The Last Hangman” of England. 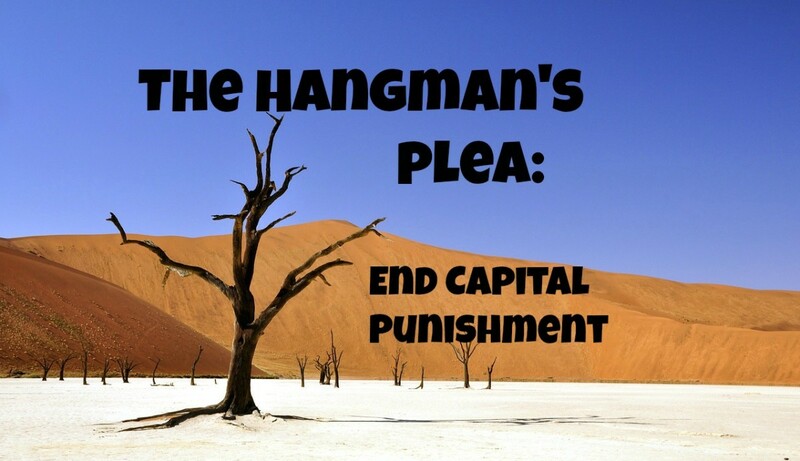 At first, he was proud of his work as a hangman, but he later became disillusioned and turned against capital punishment. The life of a beekeeper is filled with hard work, but also a lot of personal satisfaction. 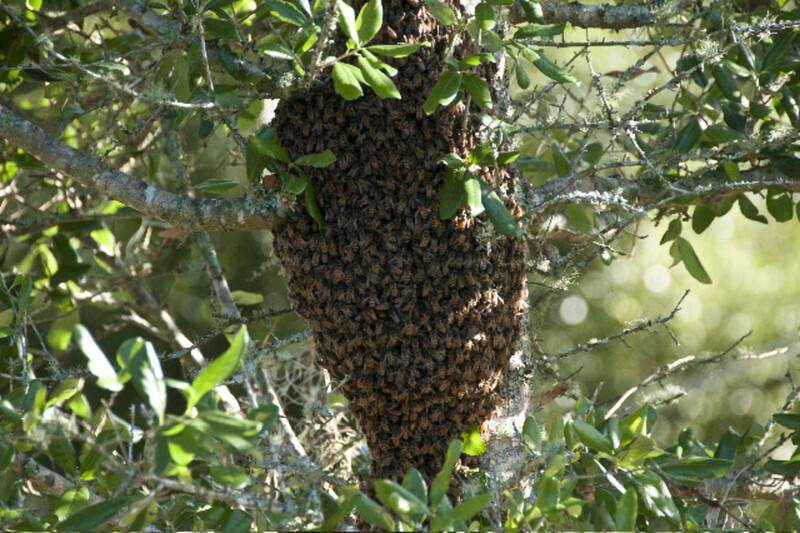 Do you have what it takes to be a beekeeper? 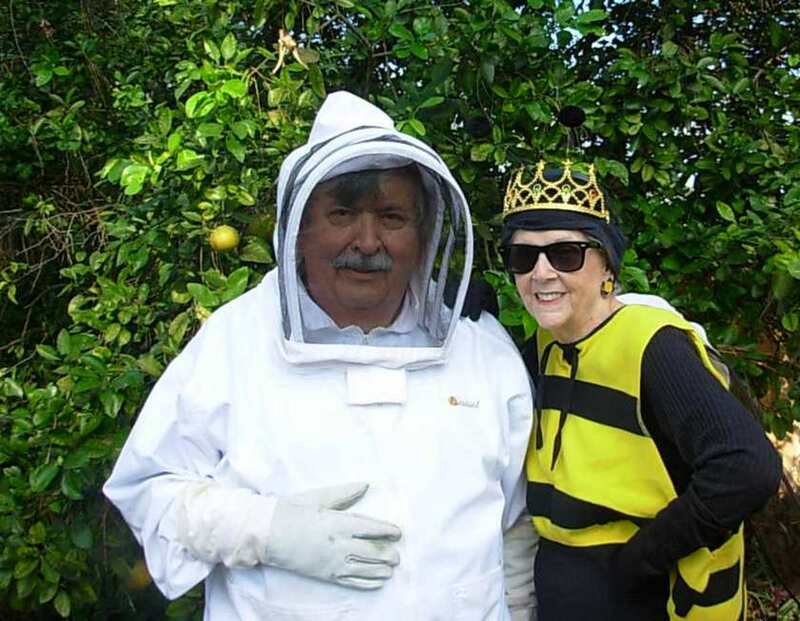 Two beekeepers explain what it is like to keep bees. The naughty grammarian instructs on the finer points of English usage, points either never learned or long ago forgotten. 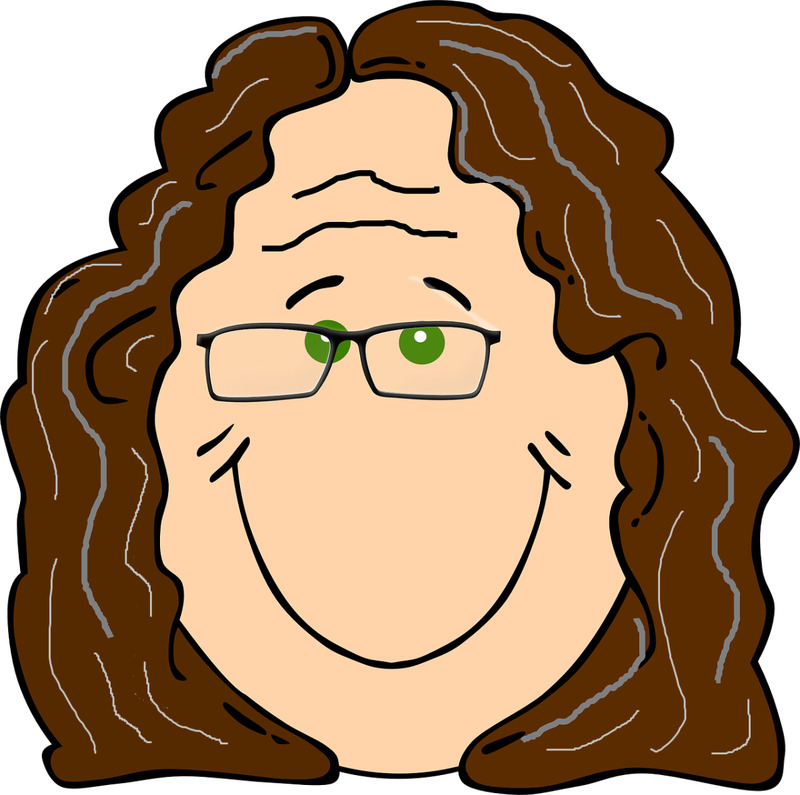 This lesson is about “I couldn’t care less” and other idioms. "Good without God" may be an idea whose time has come. 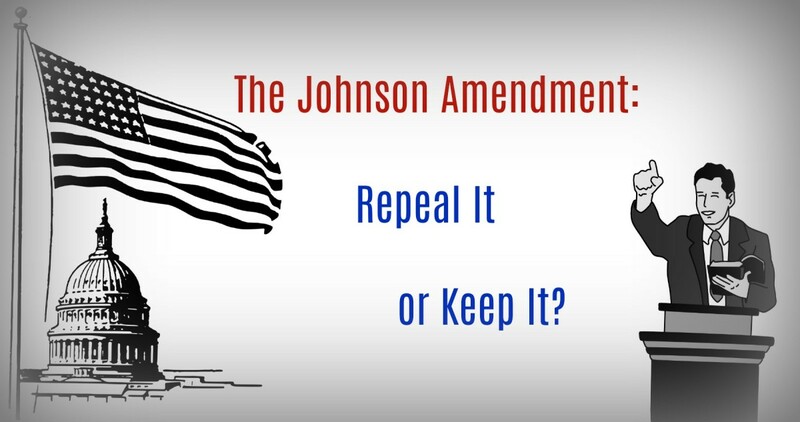 A recent spate of dueling billboards on this topic has people talking. 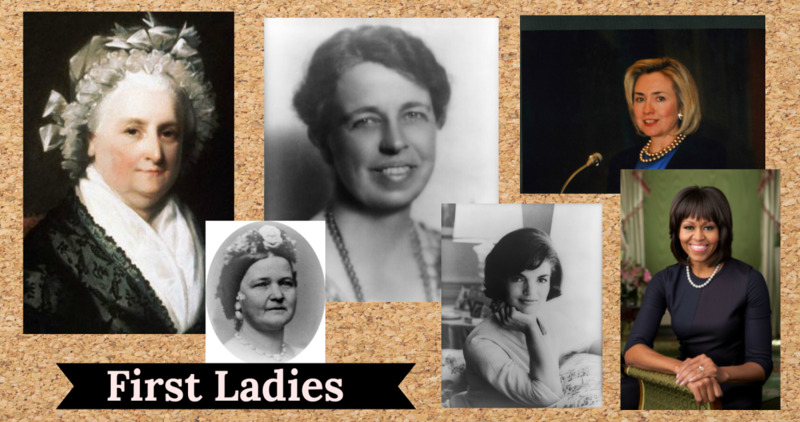 Who are some of the most notable First Ladies of the United States? How did they contribute to the success of their husband’s careers in politics and to the life of their country? We all have to work. 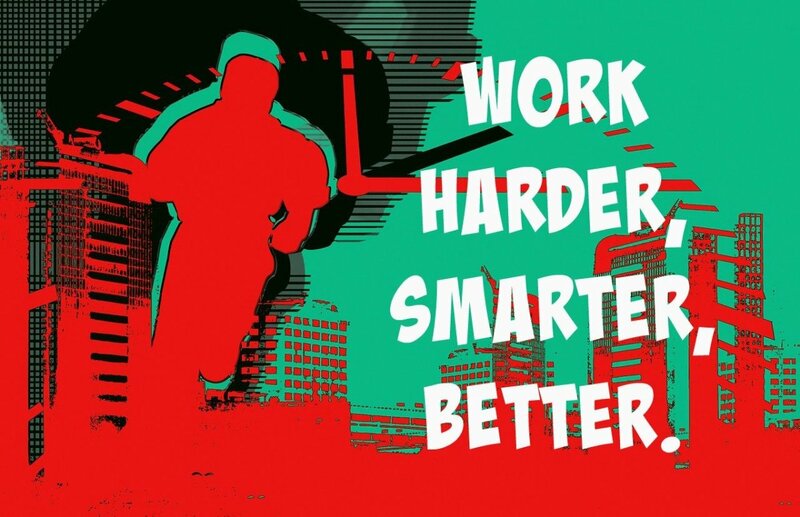 What can the quotes from famous people tell us about how to work harder, smarter, better while being happier and more successful? 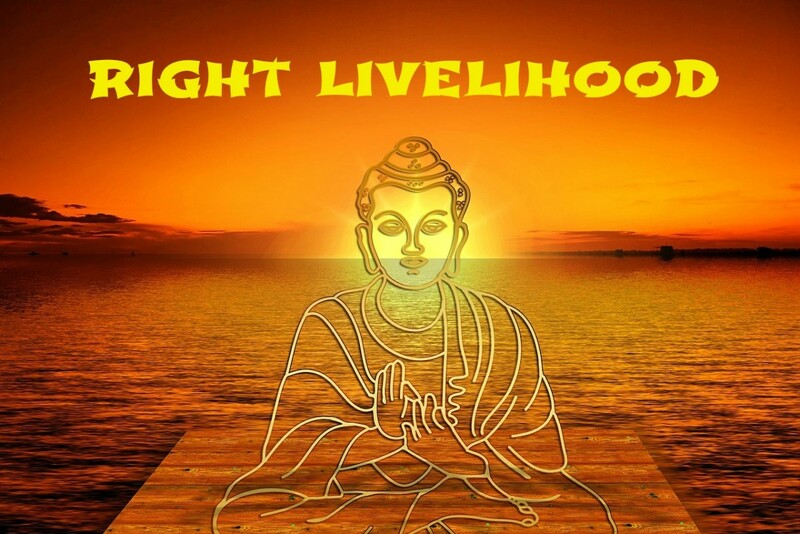 Right livelihood is earning a living in an ethical way. 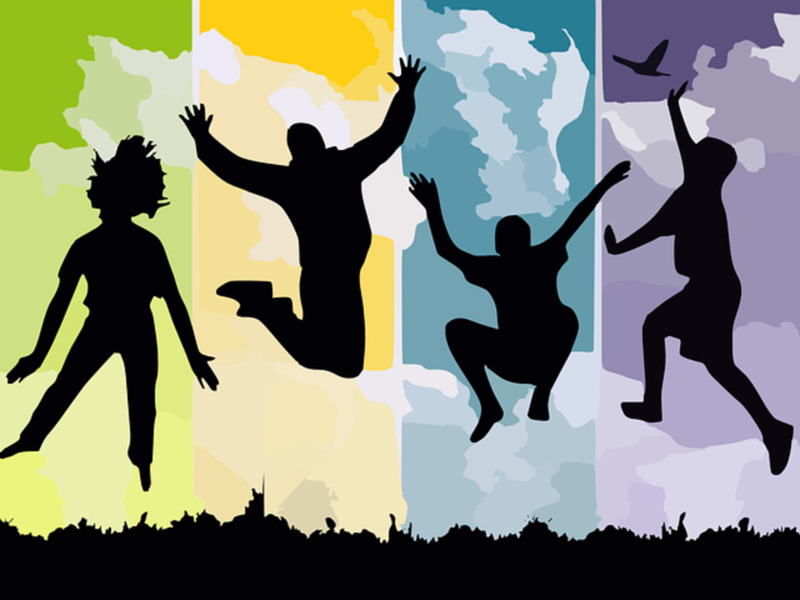 The goal is not just prosperity, but personal fulfillment and the benefit of all humanity. It is based on traditional Buddhist teaching. 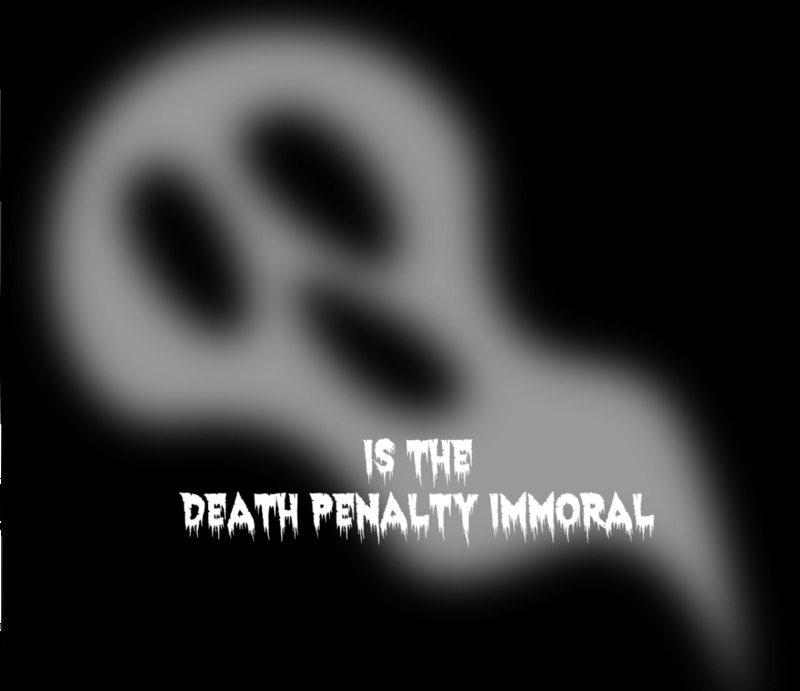 Capital punishment, the death penalty, is immoral, unfair, unjust, and barbaric practice. 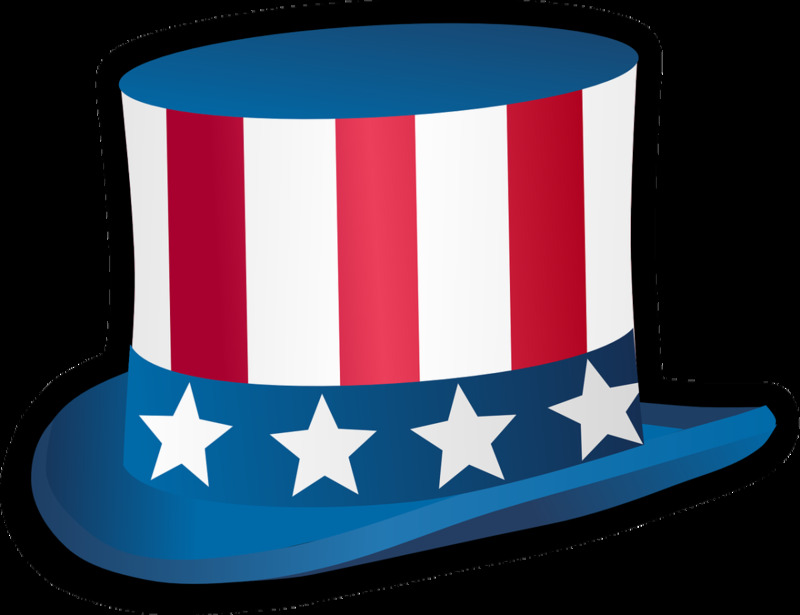 It demeans the United States. What part of “Thou shall not kill” do we not understand? The incidence of people living alone has been trending upward for decades because people are choosing to do so. Here are 25 reasons to love living alone (and some reasons not to love it). 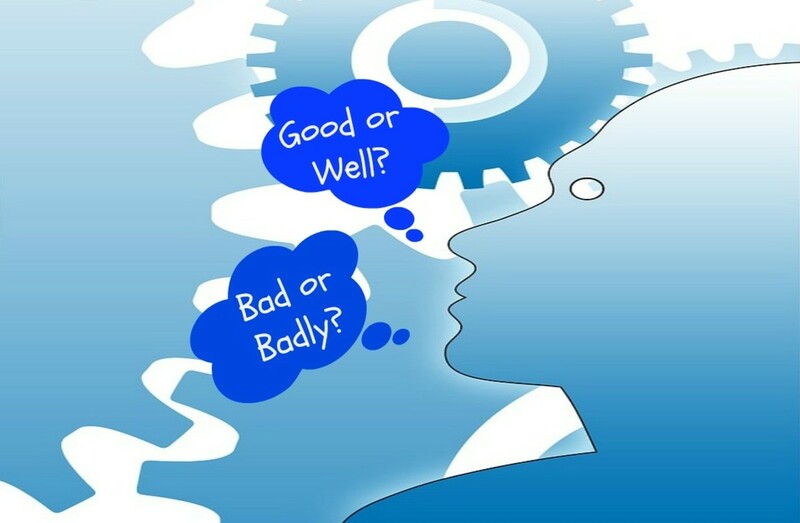 Do you know when to use good vs, well and :bad" vs. badly? These words are commonly misused. The Naughty Grammarian will explain everything. 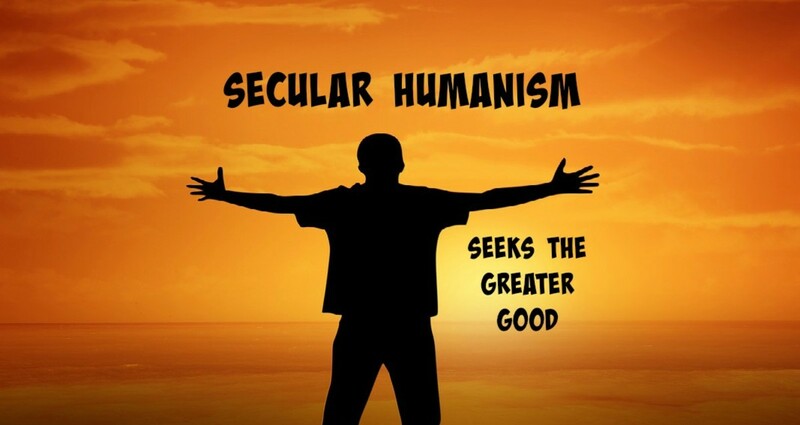 Secular humanism is a little understood human–centered philosophy of life. 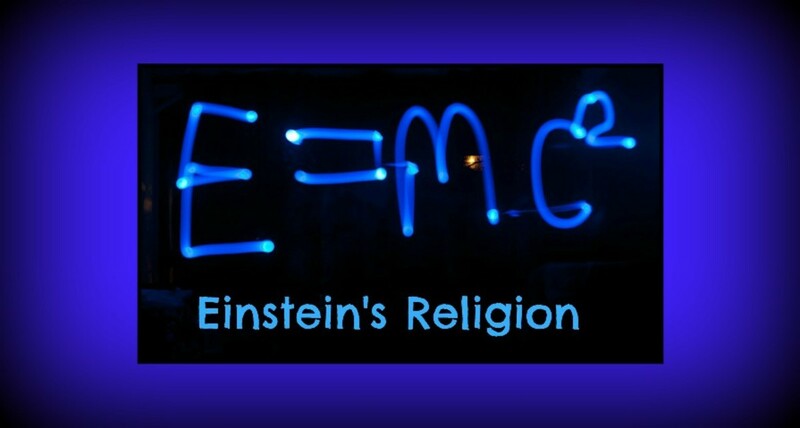 It is non-theistic, rooted in science, with explicit moral and ethical directives. 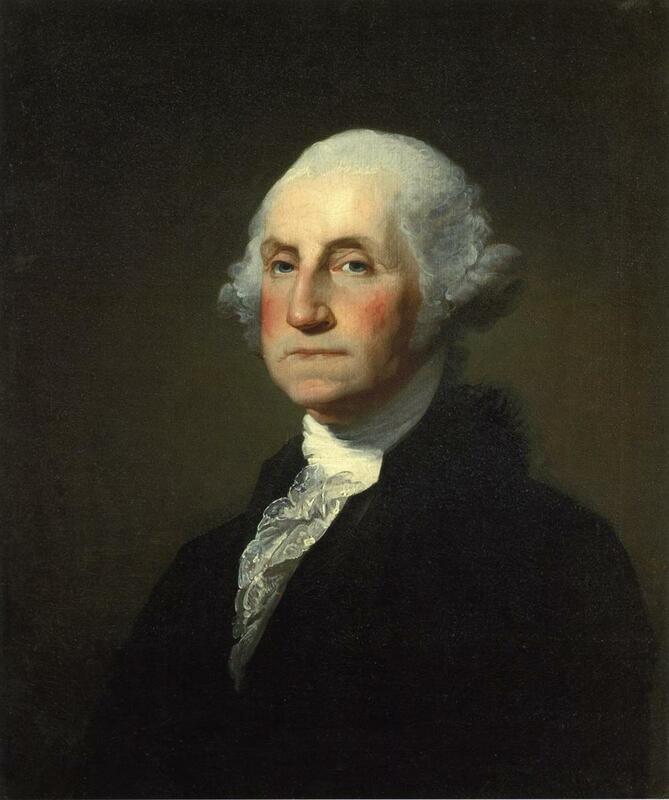 What jobs did some of the United States’ most famous presidents do before they were president? What kind of jobs, professions, and careers did they have? 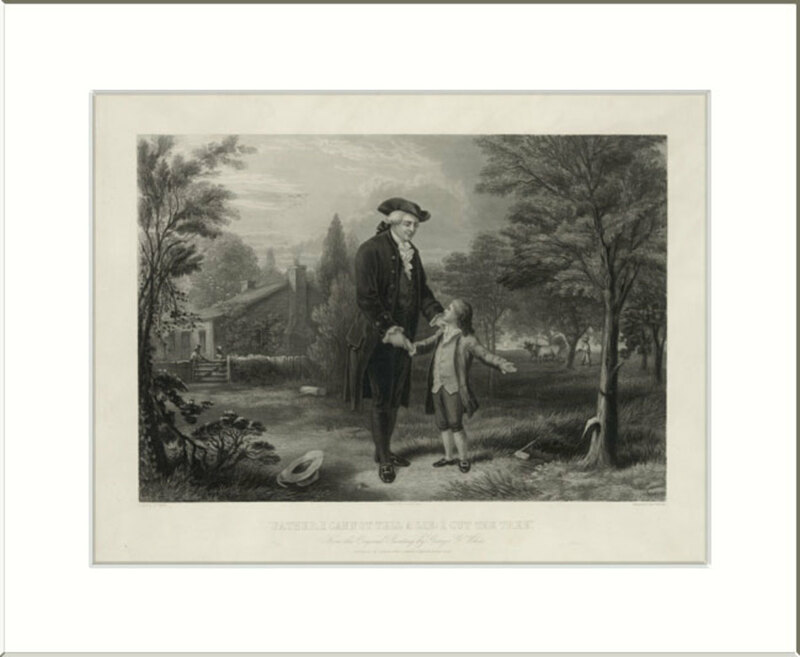 How did the childhood experiences of some of the United States’ most famous presidents influence their lives? 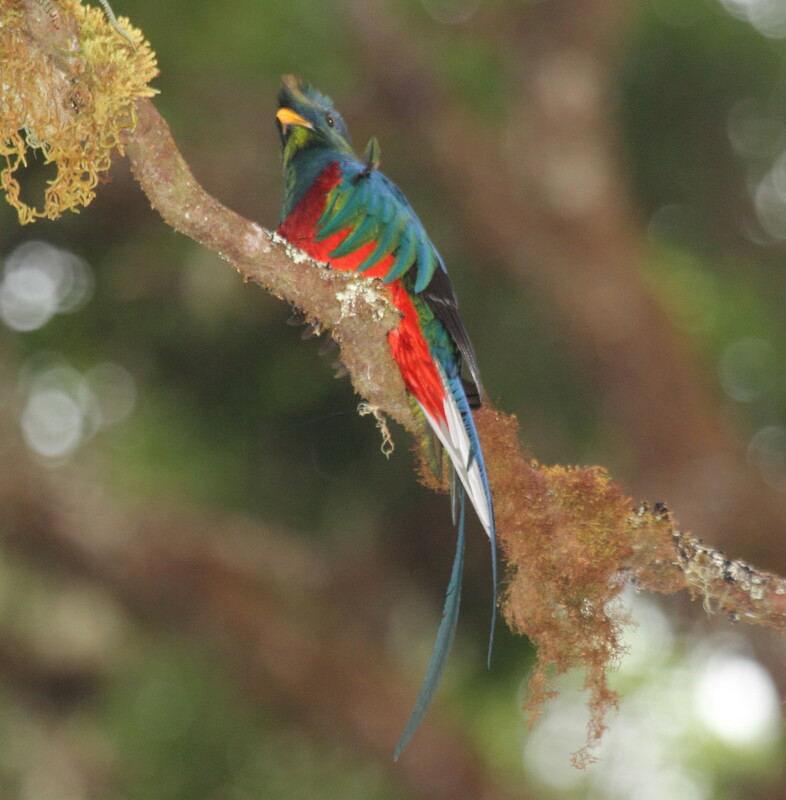 The resplendent quetzal is a vibrantly colored bird characterized by the long tail feathers of the males. 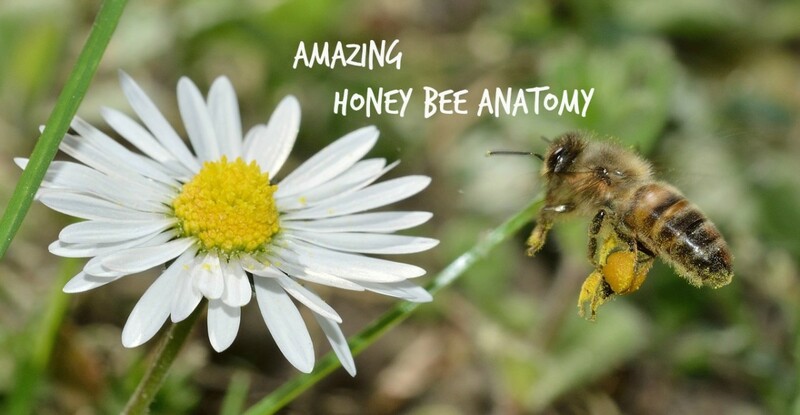 Honey bees are complex and fascinating creatures. 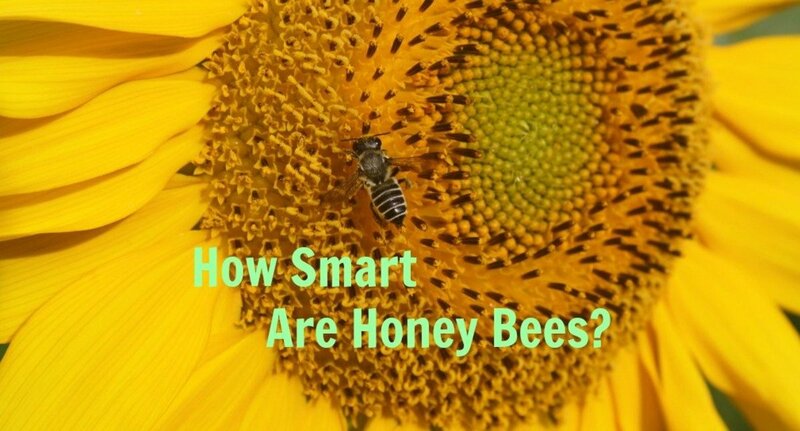 Here are 20 questions--with answers-- to help you understand honey bees and their place in our world. They are stupid. They are tasteless. They are corny. They make you groan. 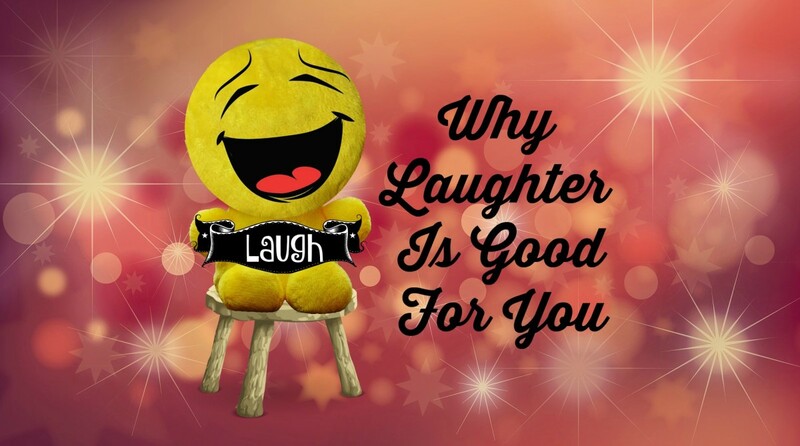 They make you laugh. They are corny jokes. 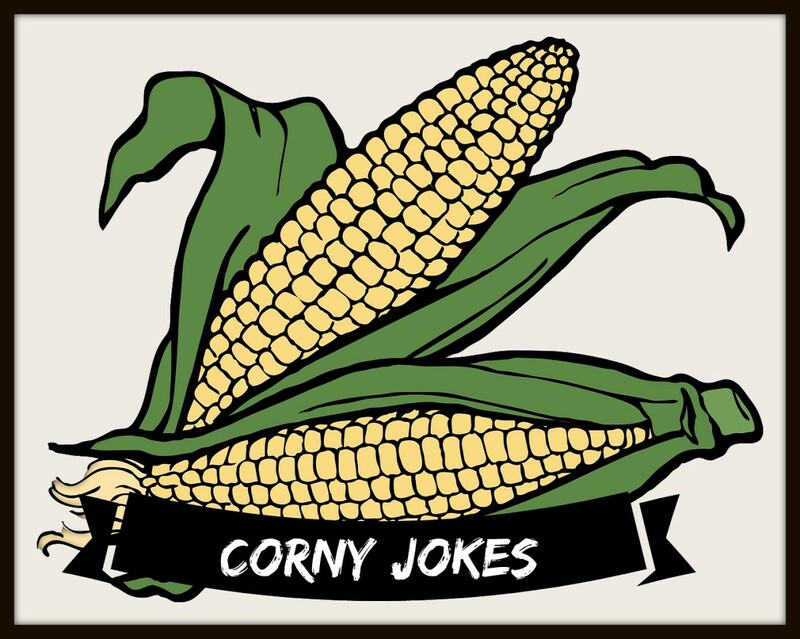 What makes a joke corny and why do we laugh at corny jokes? The Naughty Grammarian instructs on the finer points of English usage, points either never learned or long ago forgotten. 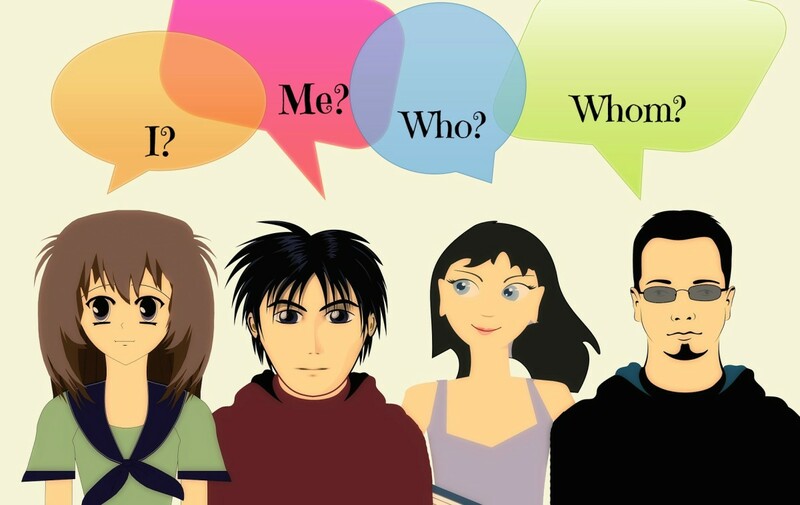 This lesson is about when to use, "I" vs. "me" and "who" vs. "whom." 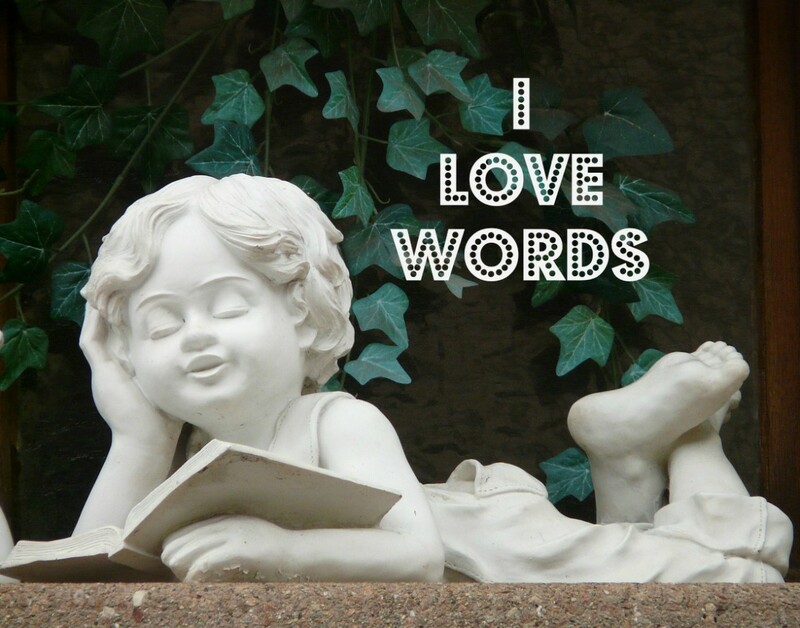 How do you turn ideas into words? 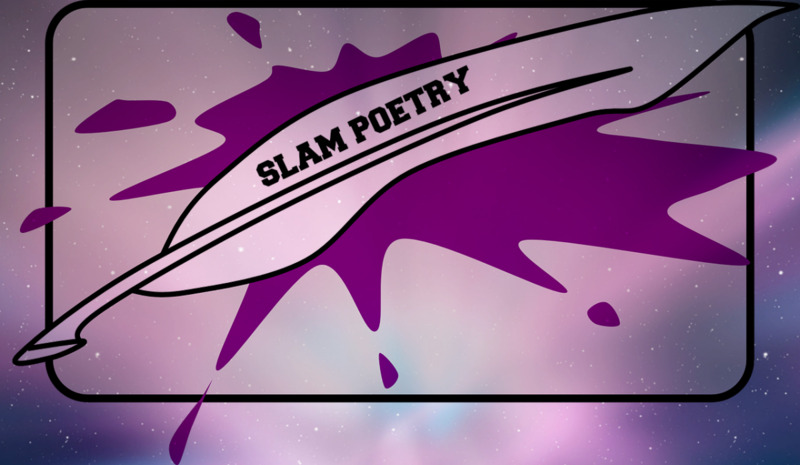 How do you turn words into a poem, an essay, a story? 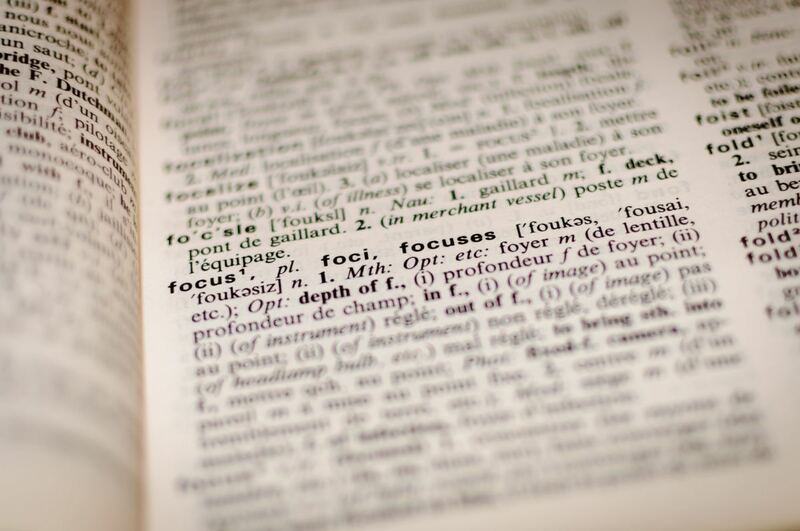 These writing tips (and poems) may help you get your words from mind to page. The naughty grammarian instructs on the finer points of English usage, points either never learned or long ago forgotten. 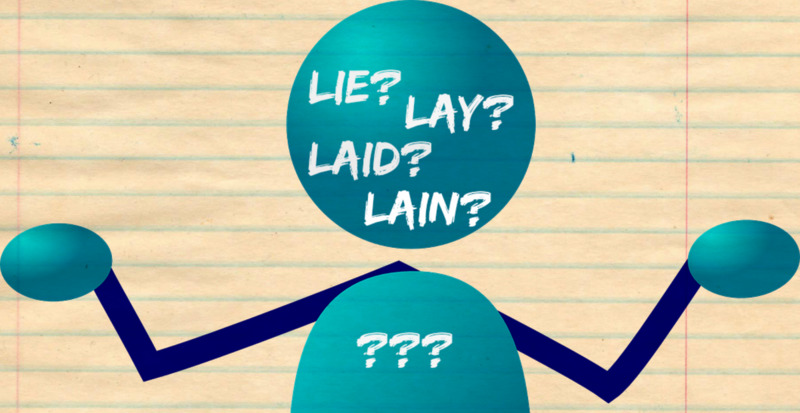 This lesson is about the confusion between the verbs "lie" and "lay." 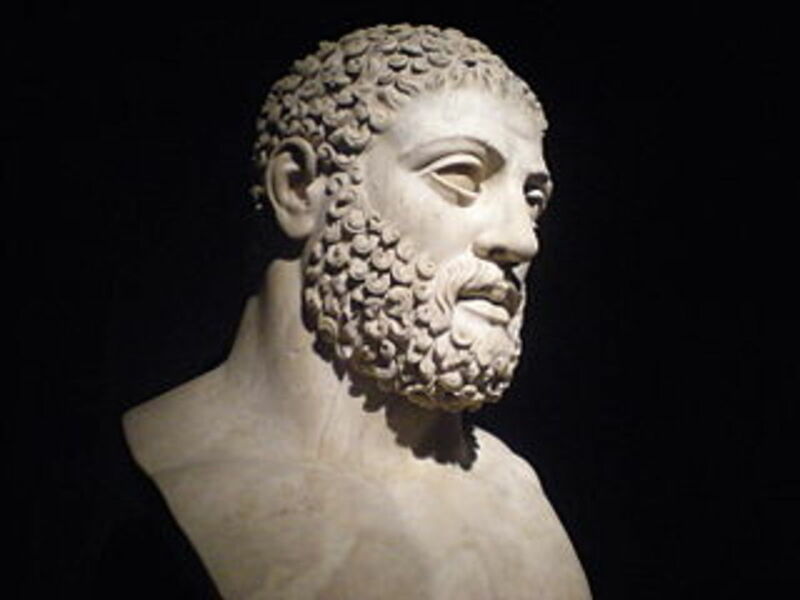 Hercules is a mythical hero of ancient Greek mythology who slew dragons—Hydra, Ladon, and another one in Troy—among other feats of strength and bravery, including the "12 Labors of Hercules." Honey bees are amazing creatures. Some facts, and poems, about honey bee life (and death), their benefits to humans (pollination and honey), and hive and social organization. 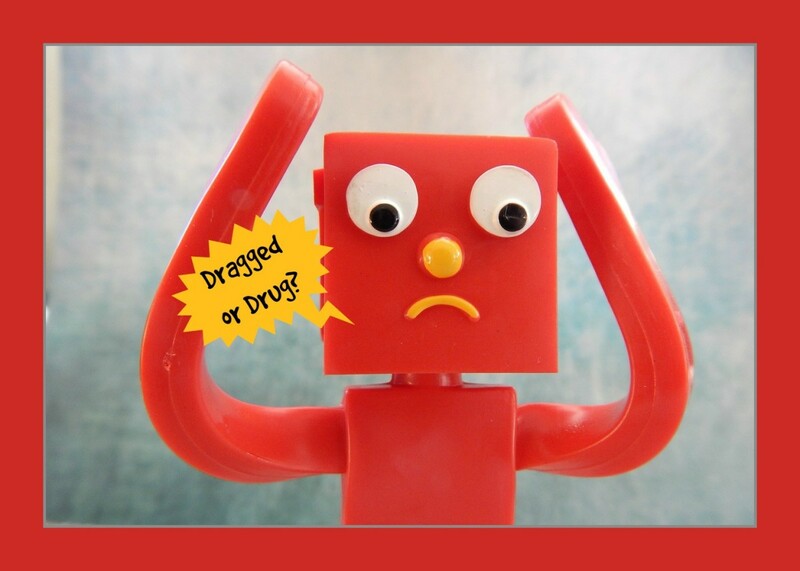 Is It Drug or Dragged? The Naughty Grammarian instructs on the finer points of English usage, points either never learned or long ago forgotten. This lesson is about misuse of the past tense. Who is Perseus? 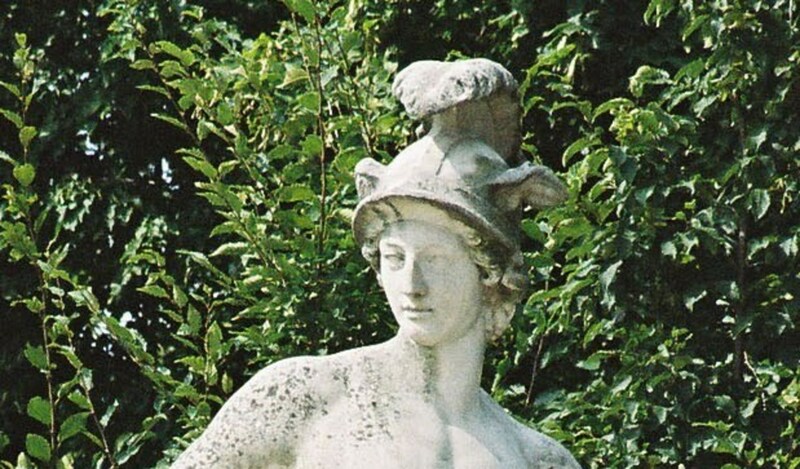 Perseus is a hero of ancient Greek mythology who slew dragons--the Gorgon, Medusa, and the sea serpent, Cetus. He married Andromeda after rescuing her from Cetus. 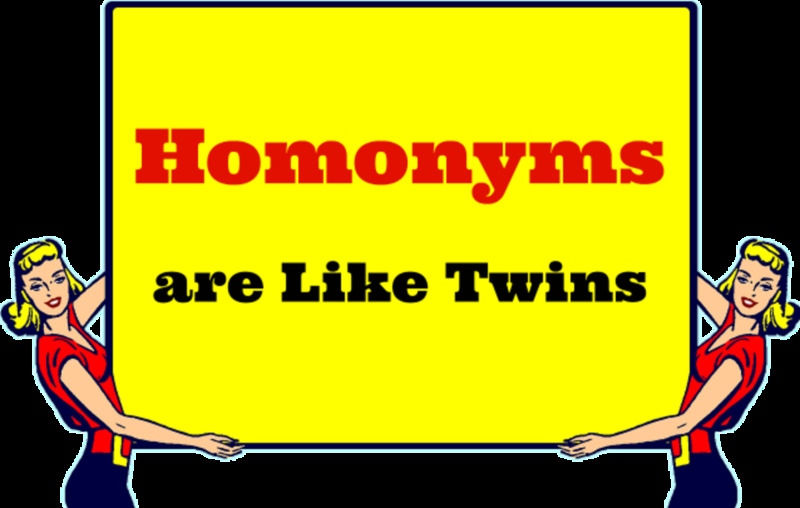 WordPlay can be puns, anagrams, palindromes and more. 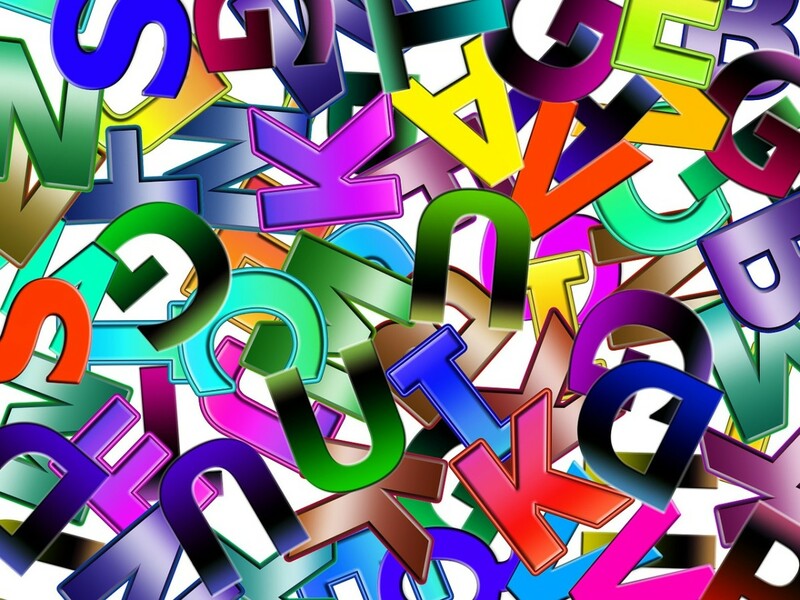 A lipogram is a form of word-play which requires the omission of one or more letters from a text. 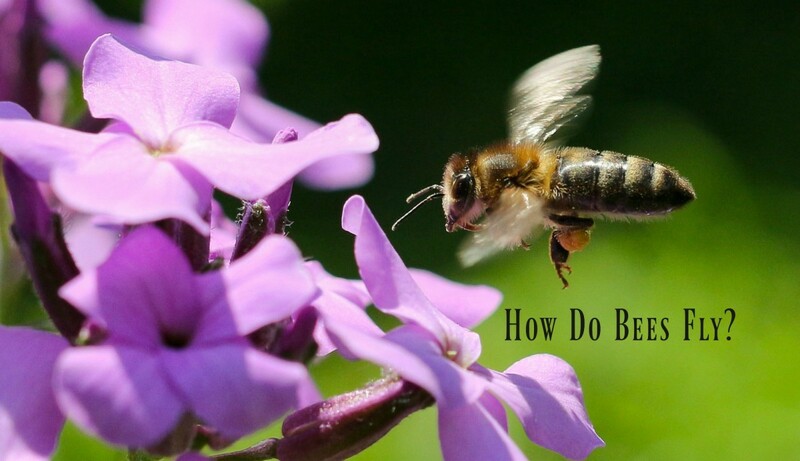 If you've ever wondered how bees make honey and function in their society, then this guide is for you. 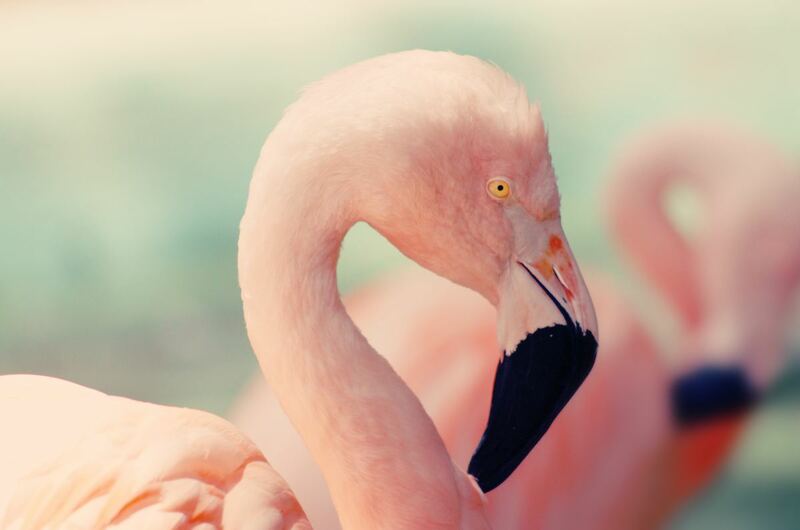 Why are pink flamingos so fabulous? 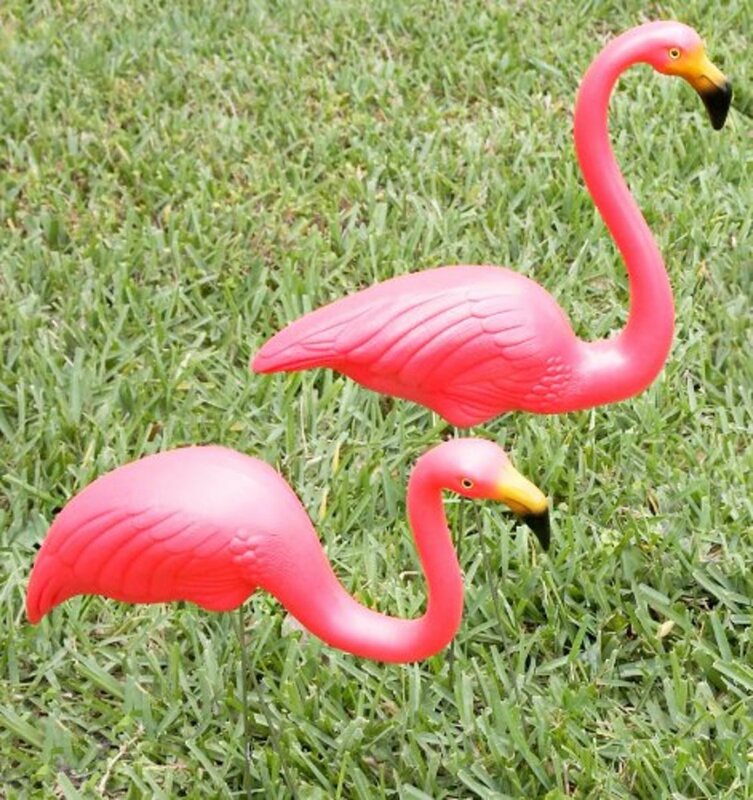 Learn the facts about flamingos in the wild and and pick up some ideas for collecting flamingo-themed items. 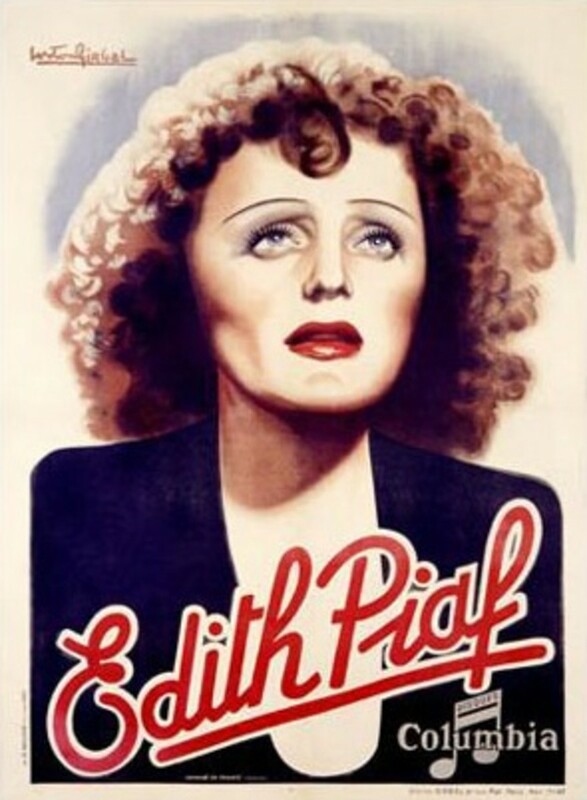 Edith Piaf was known as "The Little Sparrow." I wrote a biographical poem to honor Piaf and her talent and to tell a little about her success and, also, her sadness. 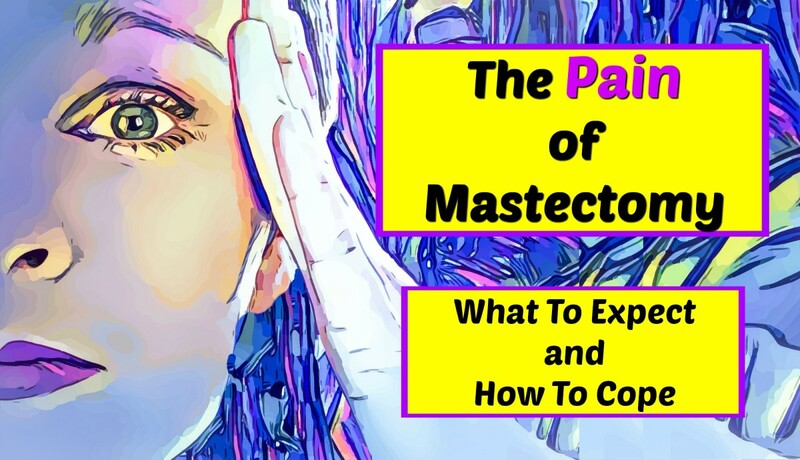 Women must learn to tolerate and transcend the many indignities age inflicts upon their bodies in the post-menopausal years. This funny poem lists the complaints, but ends on a positive note. Everyone can learn how to forgive. 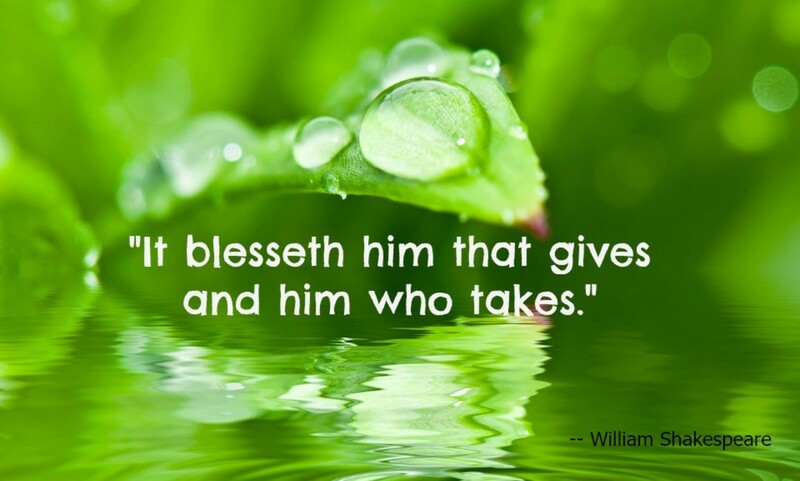 Understand why forgiveness benefits the forgiver even more than the one forgiven. 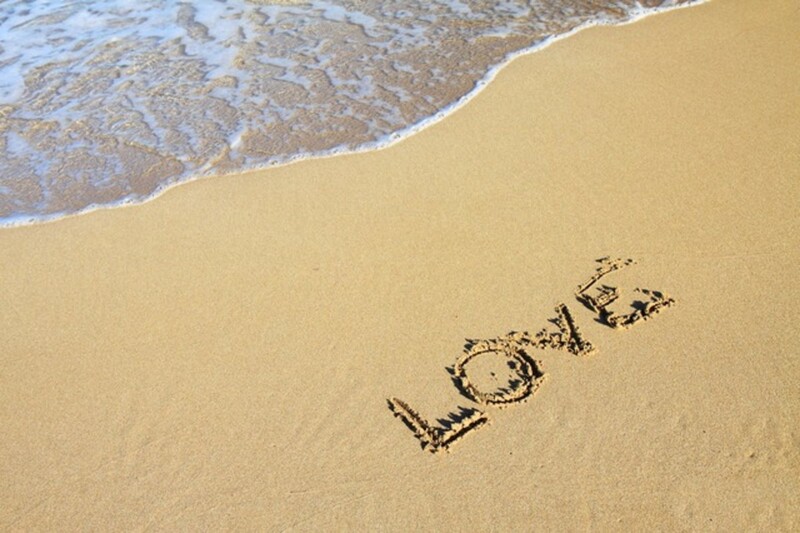 Follow a few easy steps to begin the process of letting go of anger and grief. 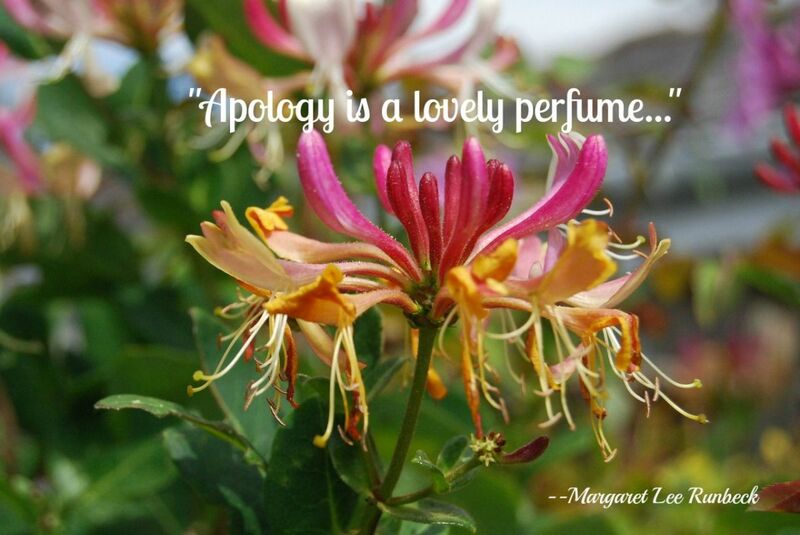 A humorous poem about apologies, the non-apology apology, and advice about the proper way to apologize. Just saying "I'm sorry" is a good start but not enough. Apologizing made easy. 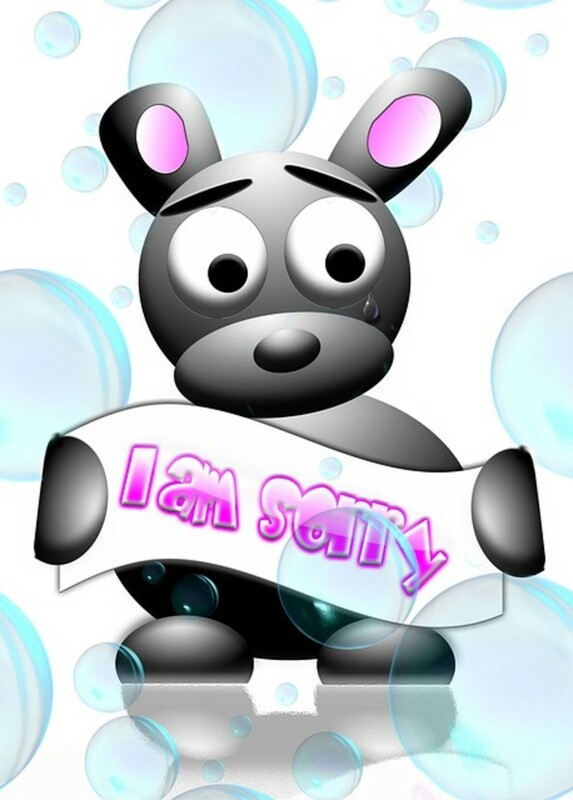 This article shows you how to say “I’m sorry” using three simple rules and how to get your apology accepted. Why do people collect stuff? What are psychological motivations and joys of collecting? What are some tips and ideas for creating, organizing, and displaying a collection? 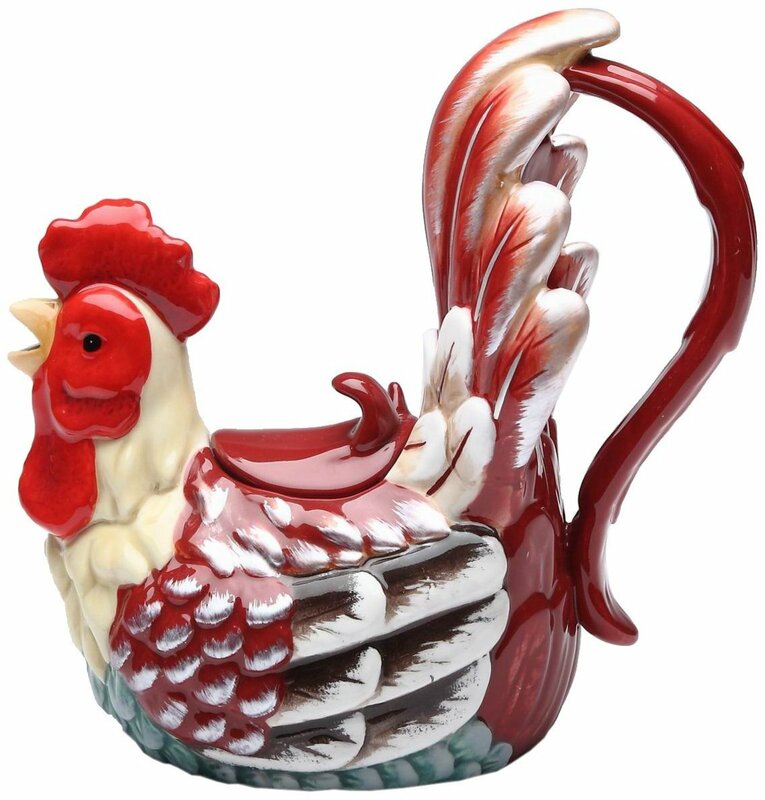 Many people enjoy collecting teapots. They brighten up the table when used for preparing tea and they brighten up the home as collectale art. 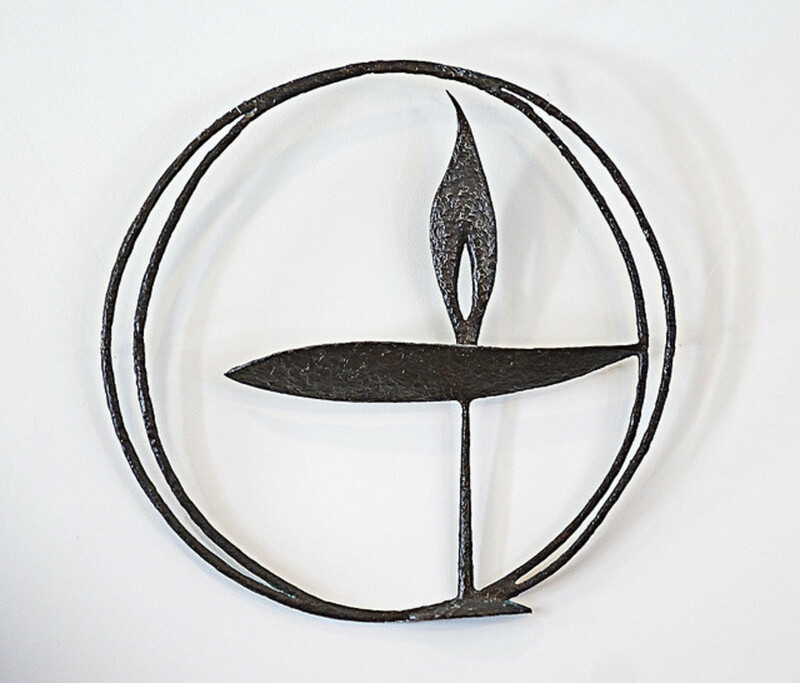 Unitarian Universalism is a humanistic religion well-suited for modern times. 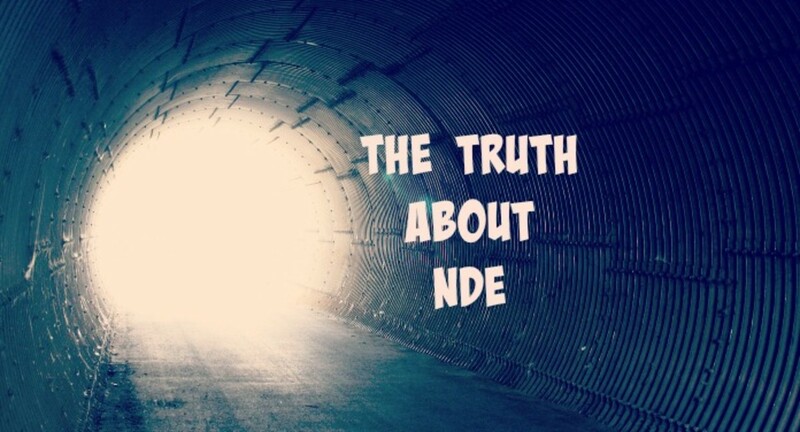 Unfortunately, many people have not heard of it or do not understand its tenets, practices, and history. The Naughty Grammarian instructs on the finer points of English usage, points either never learned or long ago forgotten. 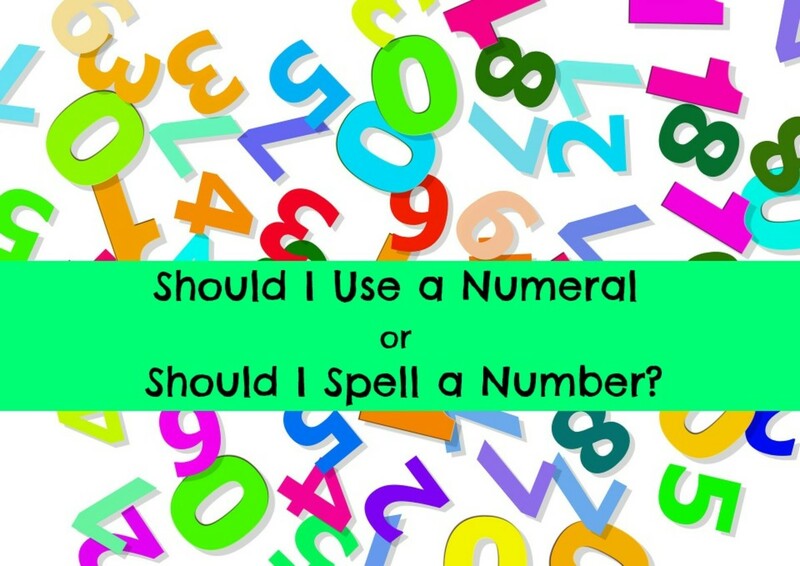 This lesson is about when to spell out numbers and when to use numerals. The Naughty Grammarian instructs on the finer points of English usage, points either never learned or long ago forgotten. 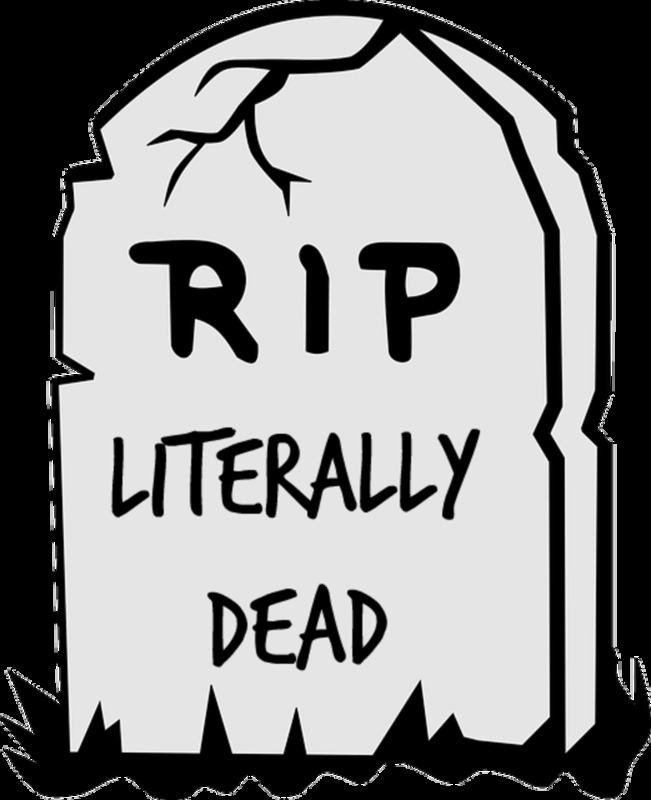 This lesson is on the misuse of the words "literally" and "awesome." 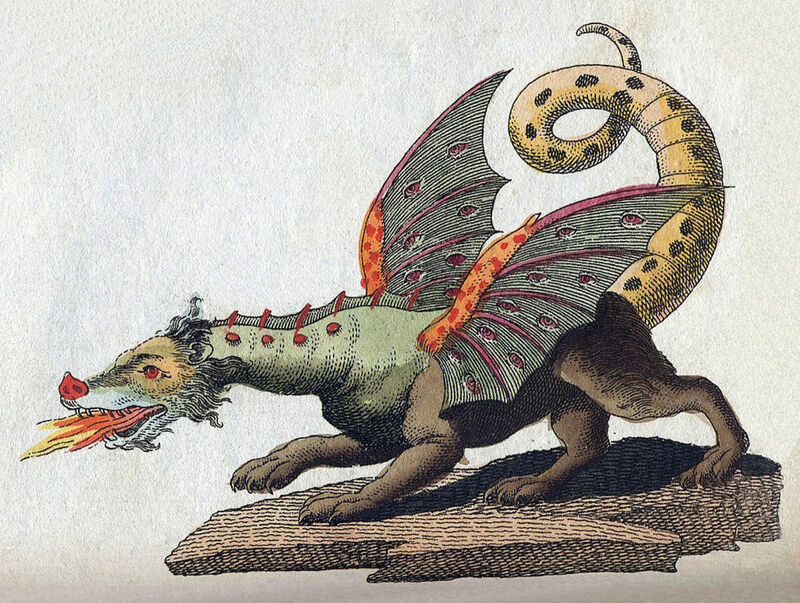 Dragons are found in the myths of cultures all over the world. What is the origin of the myths about these terrifying creatures? 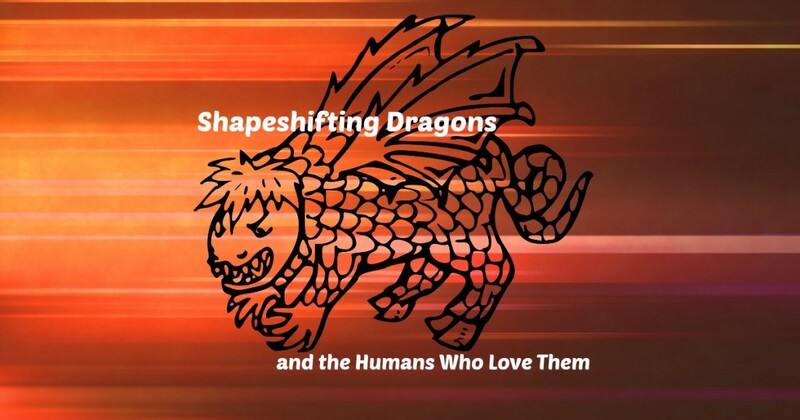 What is the reason for our current fascination with dragons? The Naughty Grammarian instructs on English usage. This lesson is about the confusion between “titled" and “entitled.” She also gives advice about choosing a title. Bamboo is beautiful and easy to grow in your backyard. Learn how t0 buy, plant, and maintain bamboo. It will quickly transform your landscape, provide a privacy shield, and look stunning. The Naughty Grammarian instructs on the finer points of English usage, points either never learned or long ago forgotten. This lesson is on the misuse of the word "less" in place of the word "fewer." 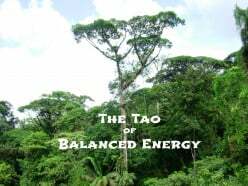 Balanced energy is about living in harmony. The path to wellness includes nutrition, exercise, and mindfulness in all things. The Naughty Grammarian instructs on the finer points of English usage, points either never learned or long ago forgotten. 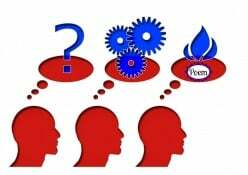 This lesson is on words often confused --allusion/illusion and affect/effect. Why are zombies so popular? What are the origins of zombie mythology, and how does interest in zombies relate to psychology, philosophy, and morality. Lastly, could there be a real zombie apocalypse? 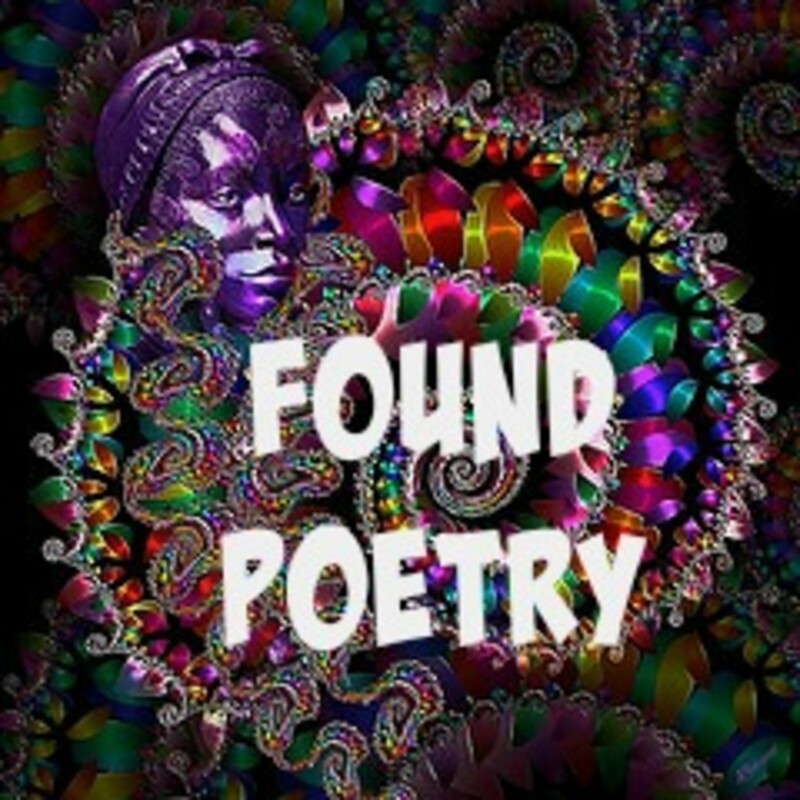 Found poetry is a type of poetry that creates poems from existing texts--books, letters, newspapers, etc. I completed a one year project to "find" a poem a day in my local newspaper. Here's how.